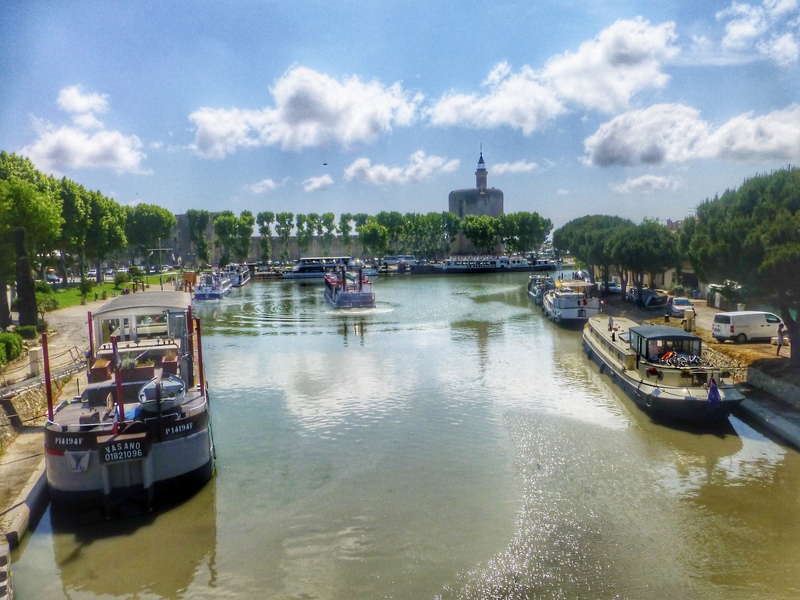 Our first major town on the canal du Midi was Beziers. 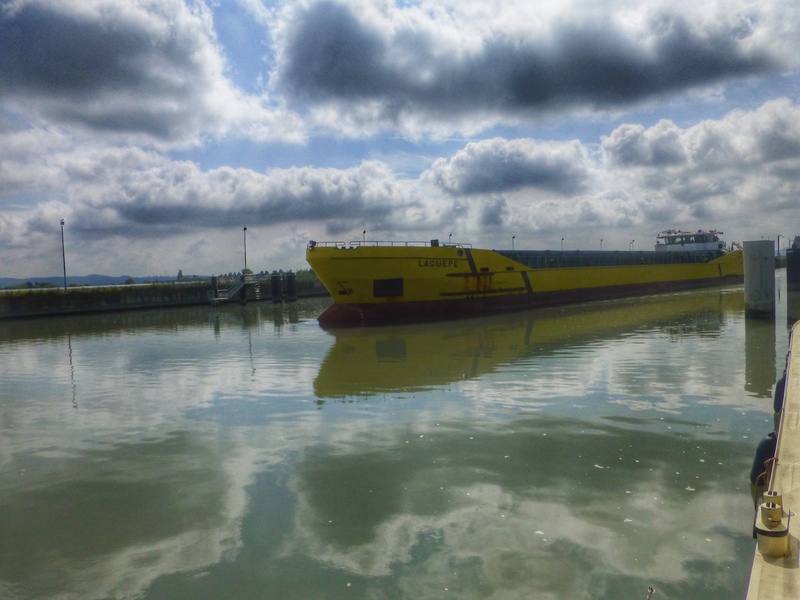 Another barge, MicMac, had arrived in Beziers a few days before us so had organised a mooring next to them. This was handy considering the number of hire boats around. On other canals we tended to just roll into a town/marina and generally would be able to snag a mooring spot. However, on this canal we deemed it prudent to book a berth a few days in advance. For smaller towns and villages we took our chances but in larger towns it was better to be safe than sorry. 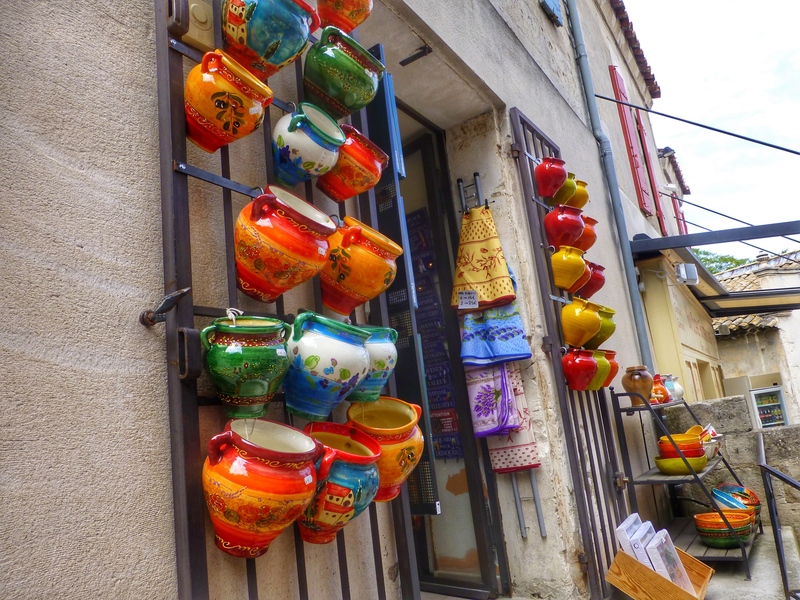 Beziers is one of the oldest towns in France and dates back to about 500BC. 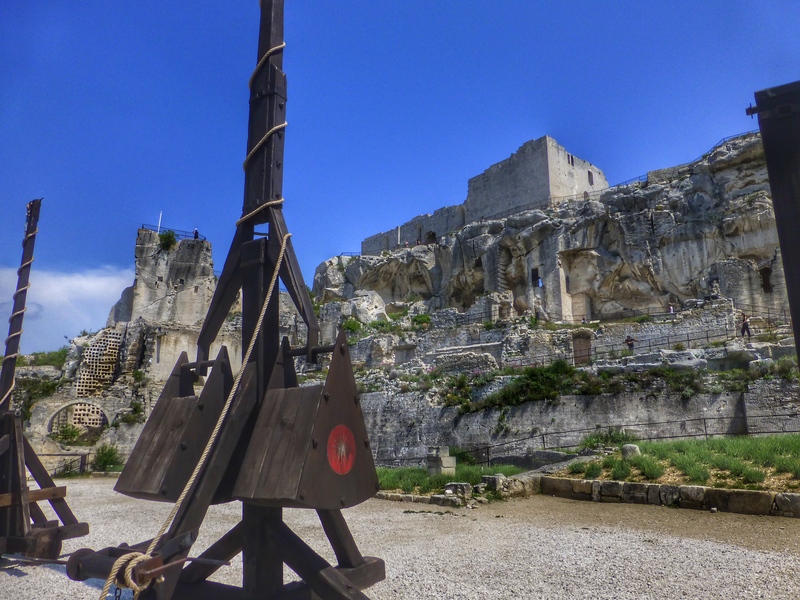 It was also a stronghold for the Cathars in the 12th century before being attacked by catholic crusaders when all the population of the town (20000) was massacred and the town was pillaged and burnt. The town was rebuilt and eventually in the 18th century prospered due to the cultivation of vines. 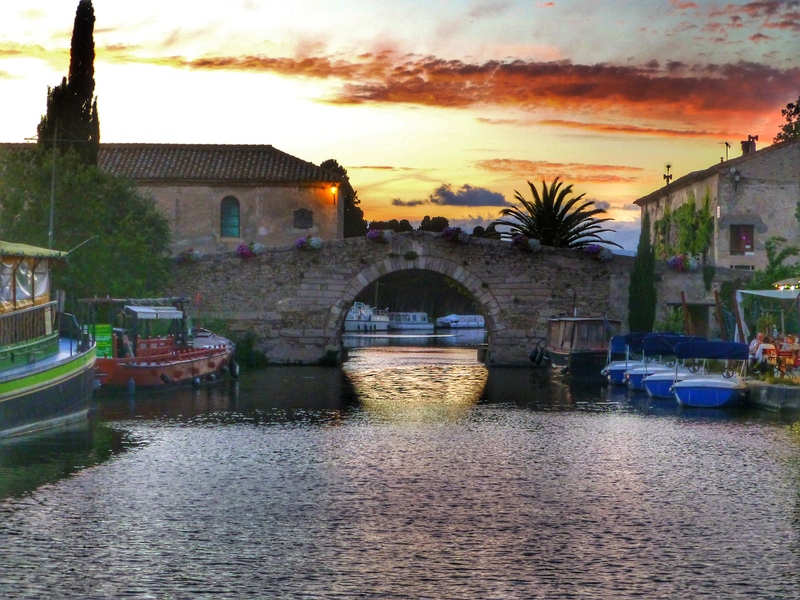 Beziers sits on the Orb River which is crossed by the canal du Midi over the Pont Canal de l'Orb. 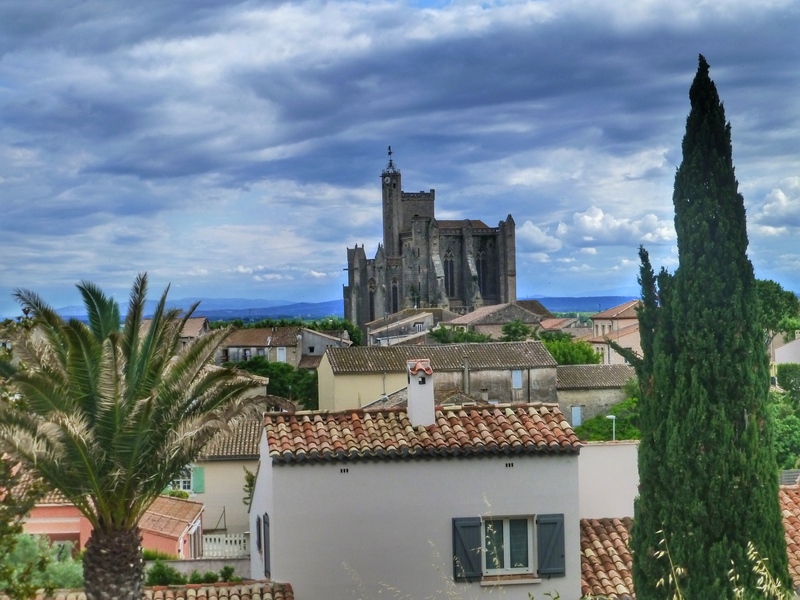 The town is undergoing a rejuvenation programme and has some lovely areas near St Nazaire cathedral, which has a great vantage point above the Orb River. 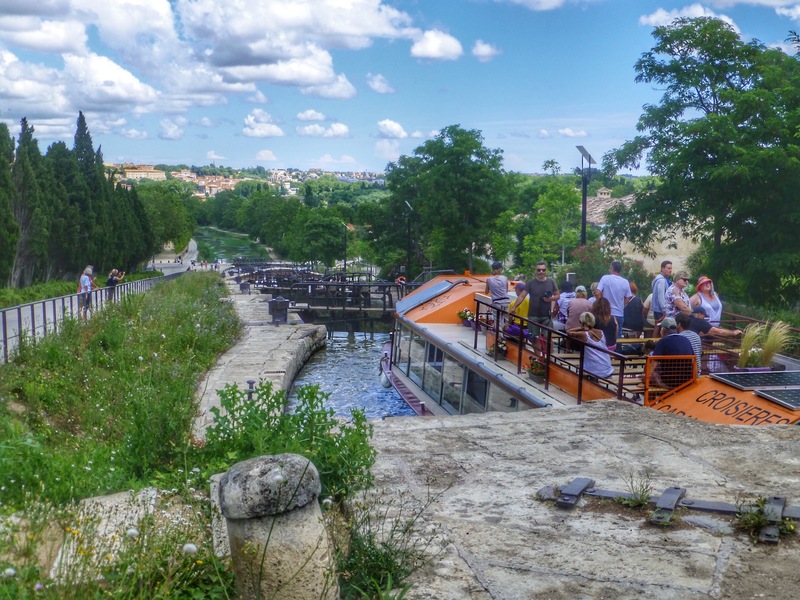 On leaving Beziers travelling west, you need to go through a series or staircase of locks, the Fonserrannes Ecluses.There are only certain times of the day when you can go through these and unlike other locks everyone is either going up in their time slot or they are coming down. Normally a boat goes up and then another boat comes down and so on. These locks are a major engineering feat and, as such, are a huge tourist attraction. So, in consequence, are we as we travel up it. It is a challenging set of locks as there are few eclusiers and they refuse to take ropes so you are forced to walk the boat from one lock to the next and try to hold the boat in place while driving onto the rope. Added to that is a low bridge in the middle where you have to get back on the boat to go under the bridge and then hop off again once you are on the other side. Then there are the tourists who think nothing of getting in your way or stepping over the rope to get a good view down inside the lock. While in Beziers we did a recce of the bridges up ahead and also prospective mooring spots. Capestang would be our next major stop as this would be where we may need to take the wheelhouse down. 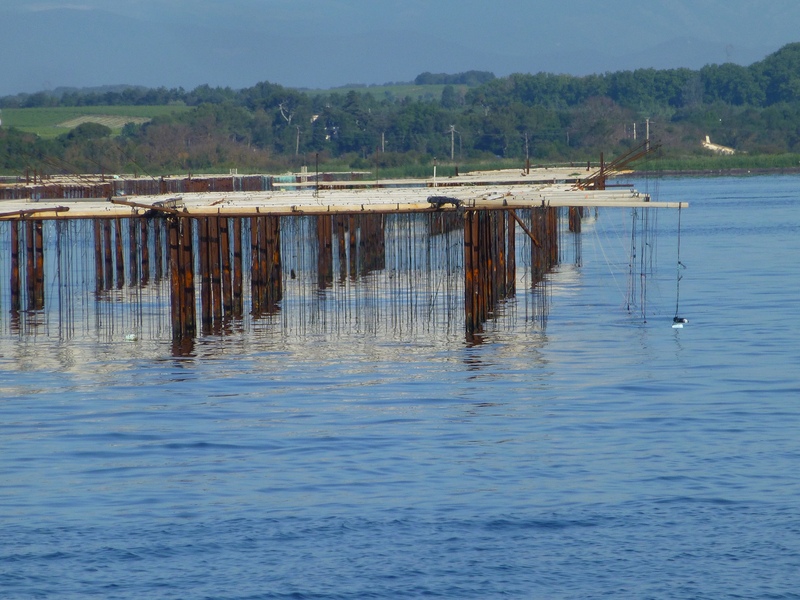 Capestang bridge is considered one of the most problematic on the canal, not just because of its height but also its slightly lopsided shape. During our recce we watched a hotel barge go through and scrape on the wheelhouse. We spent a lovely week in Capestang, luckily, under the shade of the trees. We have now heard that these trees have been chopped down as they were diseased. Unfortunately it's not just the diseased trees that are culled but a couple each side as well to reduce the risk of the fungus spreading. This means a large hole in the canopy. 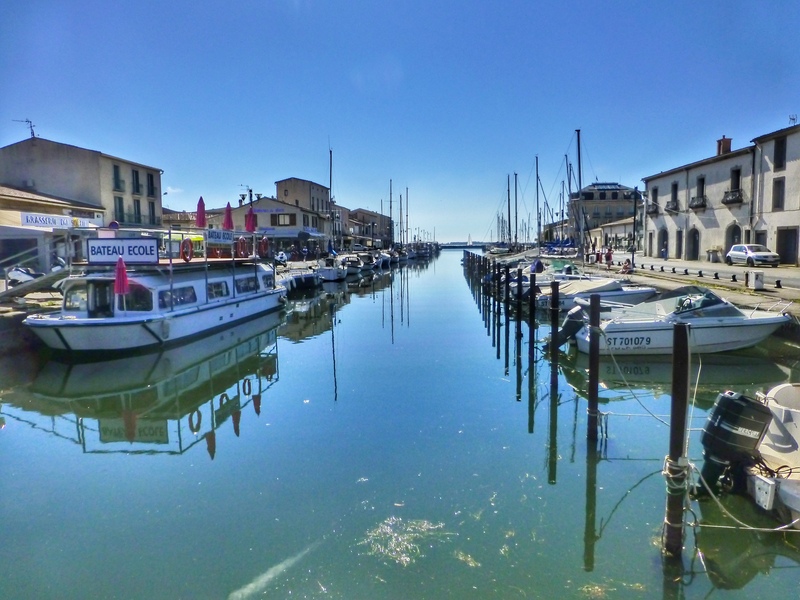 While we were in Capestang the tourist bureau conducted informative walks highlighting the history of the canal and the town. 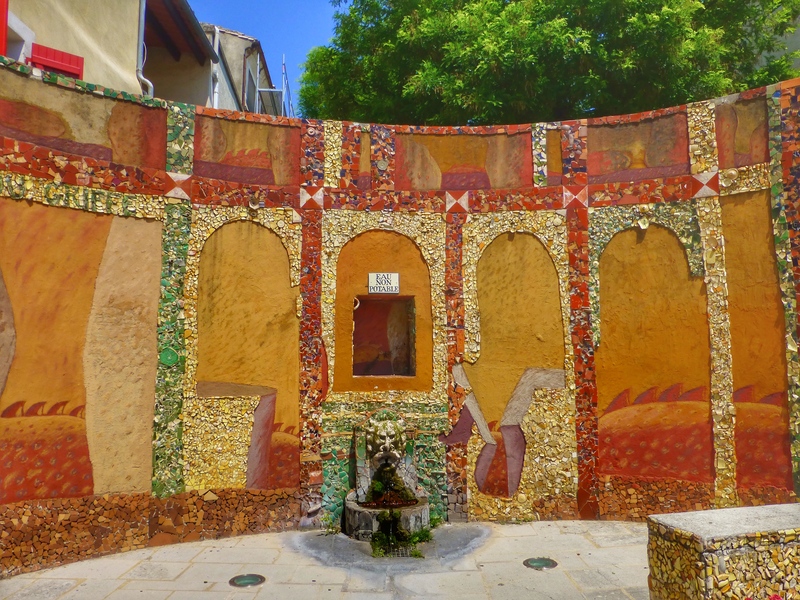 Originally the town was on the edge of a lake with Narbonne on the other side but over the centuries the lake has dried up. 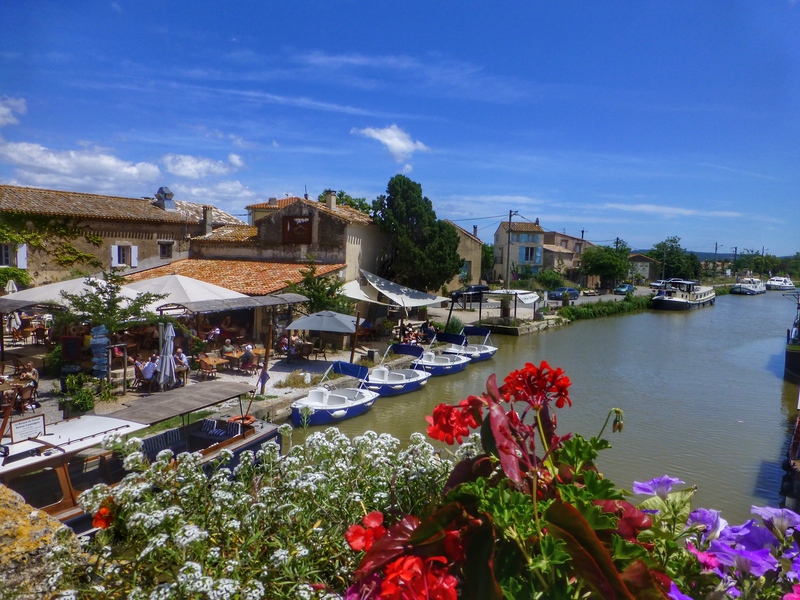 From Capestang we cruised to Le Somail and Homps before reaching another series of locks at Trebes and then into the lovely town of Carcassonne. 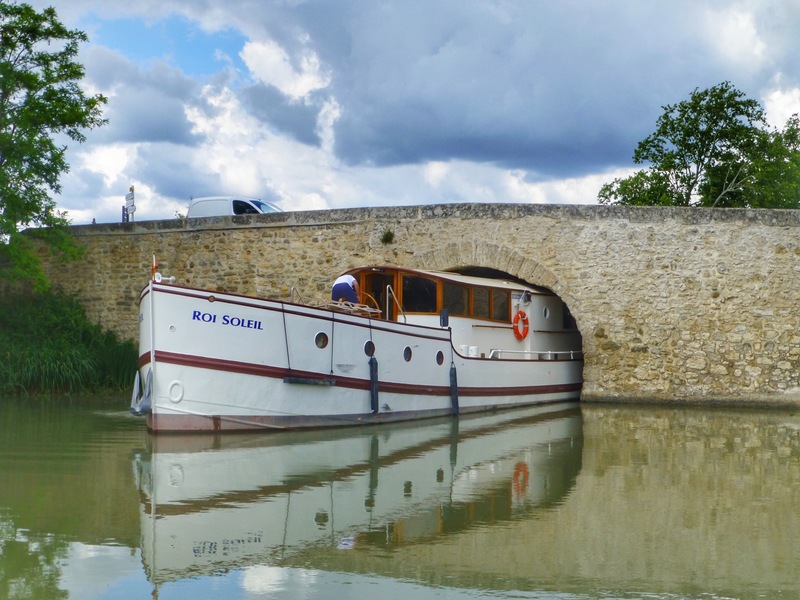 At Le Somail, we arrived in town at lunch time and found a nice mooring near a restaurant. Of course we decided to take advantage of a restaurant so close. It was also the day that France defeated Australia in the rugby. The lovely staff at the restaurant were very sympathetic once they found out we were Australians. The mooring was so opportune that we decided to stay here for the night. Our next stop was Homps, a major hire boat base. We arrived here in time for lunch and also managed to fill the boat up with water before heading off again. This time we decided on a wild mooring. Between Le Somail and Carcassonne we negotiated a couple of staircase locks and some pretty low bridges but the lowest bridge was yet to come. The entry to the final lock before the port of Carcassonne is under Pont Marengo. 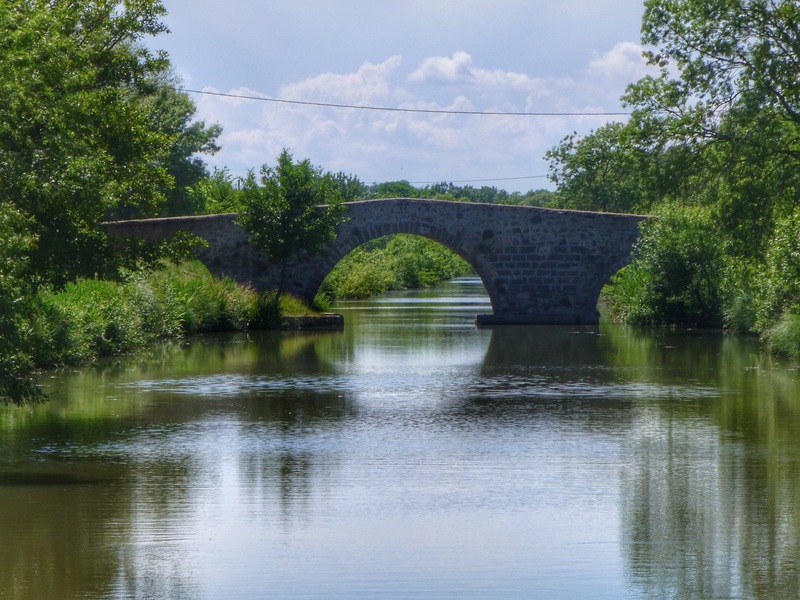 This is the lowest bridge on the canal du midi and would be a test of nerve and excellent steering skills to keep us in the centre of the bridge. 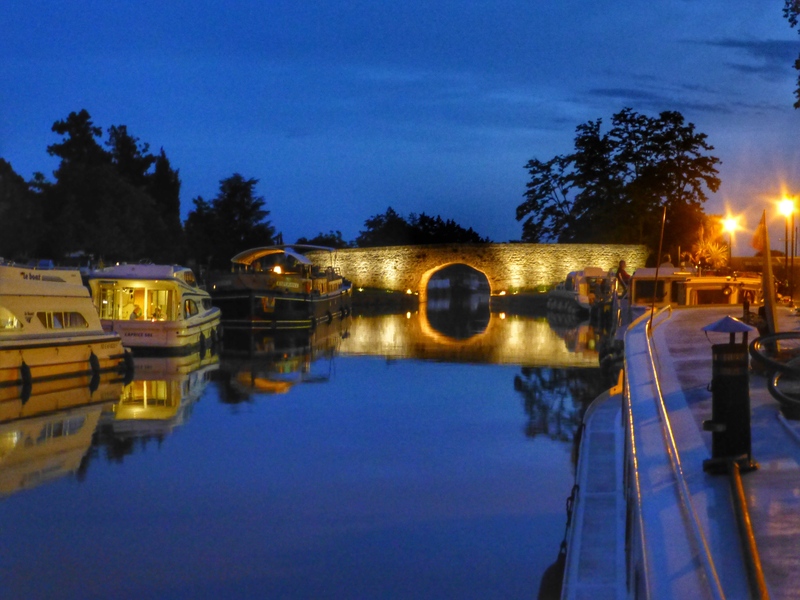 The Canal du Midi’s reputation precedes it, especially amongst the barging world. 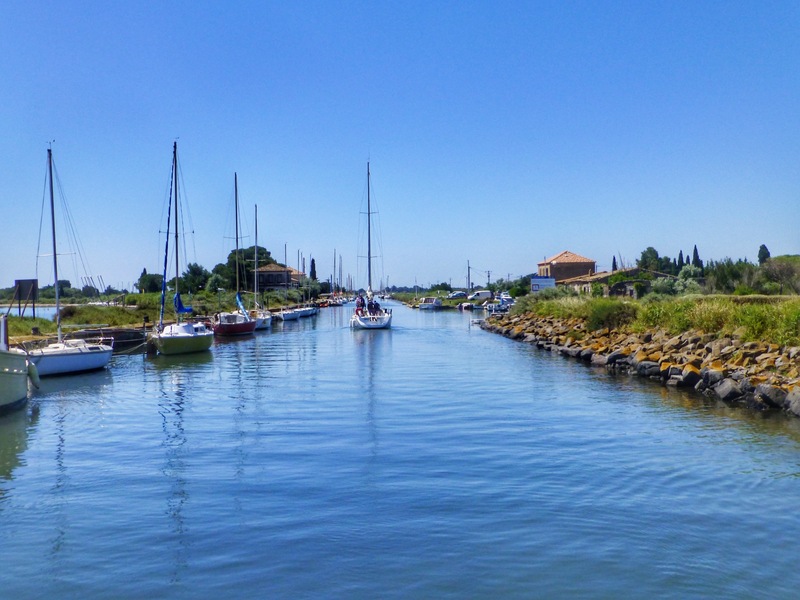 There are many myths, tall stories and warnings about this canal and we had heard them all before we headed into the canal from the Etang du Thau. 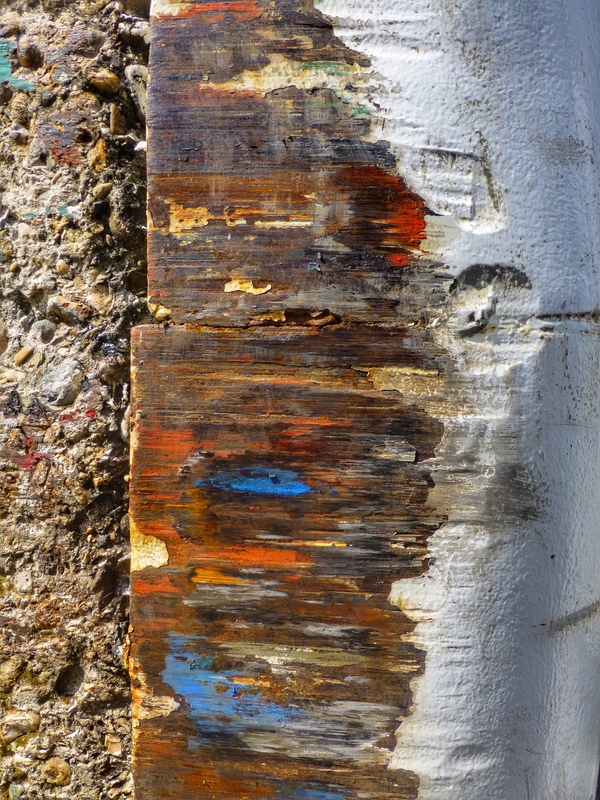 We had been warned that the first impression of this iconic canal would be a disappointment as there were many disused and derelict boats lining the canal. This was true but it still didn’t dampen our enthusiasm for finally being on this canal. 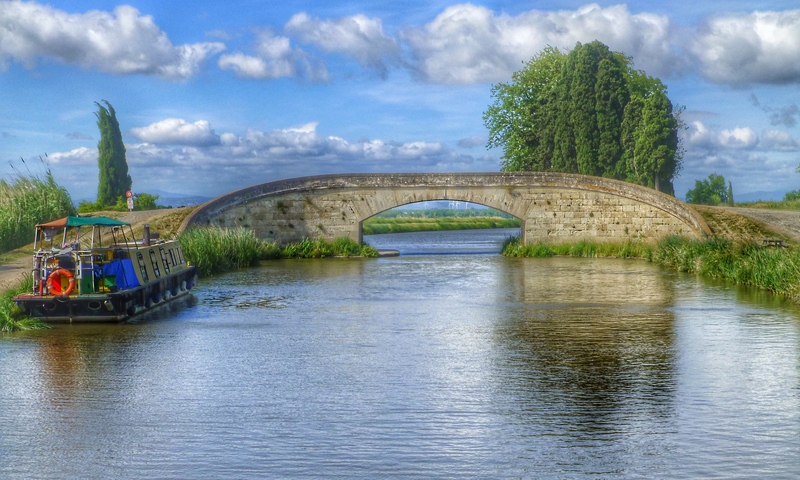 The construction of the canal was started in the mid 1600s during the reign of Louis XIV to facilitate the passage of goods from the Atlantic to the Mediterranean without cargo ships having to run the gauntlet of English and Spanish ships keen to plunder goods from the French. The second thing that we had been warned about was the number of hire boats on this canal, and how most of the occupants had no idea how to control a boat. Apparently they only receive about 10 minutes instruction before the keys are handed to them. Also if you have one hire boat coming towards you, then you can usually expect at least one other close behind. They also tend to panic when they see a boat of our size and can act quite unpredictably, so be prepared for anything. This also seemed to be true but we did manage to avoid most of the hassle by staying in a town or mooring during the week and moving on Saturday which is generally changeover day. Thirdly we had been warned about the shape of the locks. Most locks are rectangular in shape with straight sides. We had come across some on the Yonne River with sloping sides, which I wrote about in a previous post. Some of these were problematic so I wasn’t really looking forward to the elliptical ones on the canal du Midi. The gates are only wide enough for one barge but the lock opens out in the middle to accommodate more boats and is especially good for the hire boats as they can usually fit 4 of them in the lock. This solves issues if the water levels are low in the canal. However, boats of our size can’t fit along the walls so we are basically straddling along one side and frequently can only get one rope on and have to drive onto the front rope. When you have a deep lock and a lockkeeper who won’t take your rope there can be some strong words used and lots of frustration. 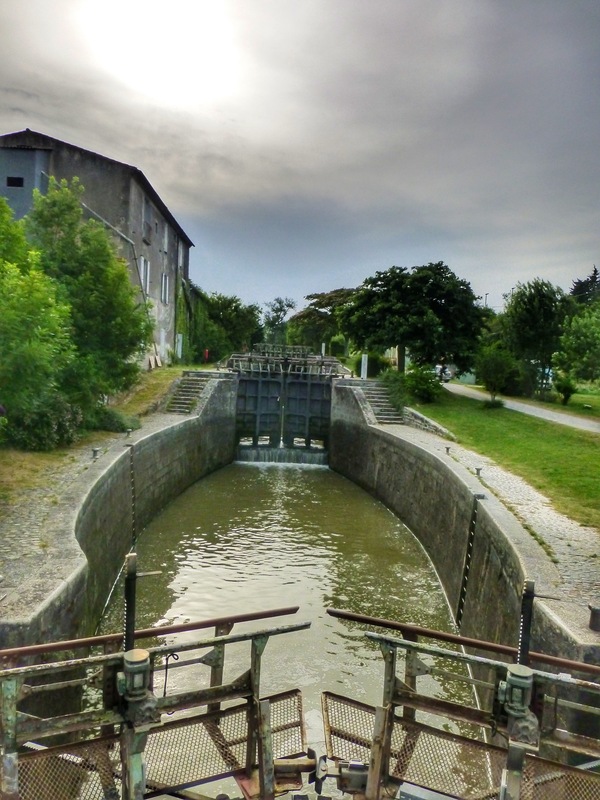 I would have to say that, in general, the lockkeepers on the canal du Midi are among the most unhelpful on the French canal system. When a hire boat is in with you as well, stress levels can reach an all time high. Having said that, once we found a hire boat crew who understood the issues we tried to travel with them for the whole day, making the experience more of an adventure. The fourth thing was the height and shape of the many bridges on this canal. While we have an air draft of 3.15m we are able to collapse our wheelhouse, so if we do come across a low bridge then, with a bit of effort, we can dismantle it and cruise under. The wheelhouse, however is only 2.6m wide, so the slope of the arch will determine whether we will fit under it. We had been warned that there were potentially 10 or so bridges where we may have difficulty. This was not want we wanted to hear. I will dedicate a whole blog to the bridges on the CdM and our journey through them. Fortunately for us, we were able to fit under all of them without dismantling the wheelhouse. 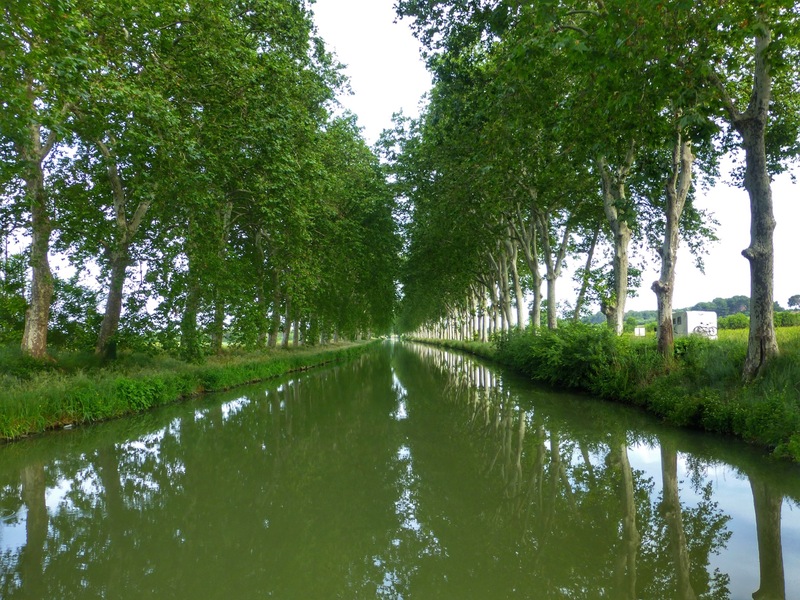 The fifth thing we had been warned about was that the plane trees, for which the Canal du Midi was famed, had been decimated by a disease which had seen many of them chopped down. This fungus was believed to have been bought to Europe during WWII in the ammunition boxes used by American soldiers. 42000 trees were planted in the 19th century but unfortunately about 12000 are diseased. While many of them have been replaced with resistant species, it will be a long time before they will be large enough to provide shade from the relentless sun that beats down on the canal during the height of summer. 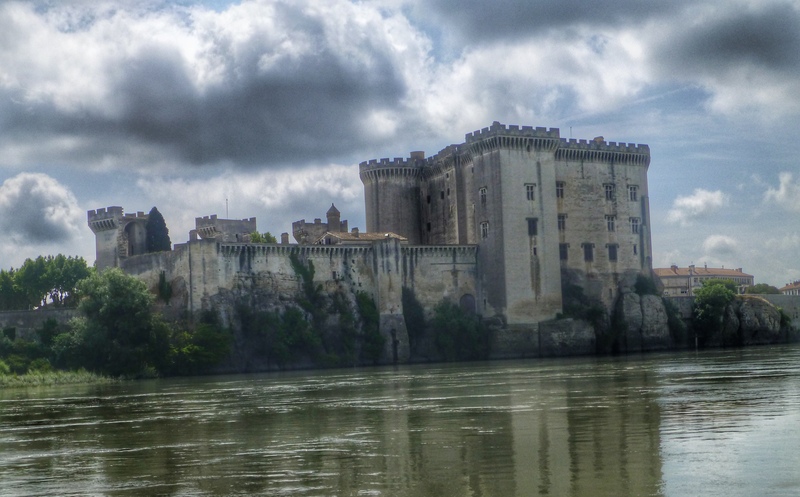 We were reluctant to leave Avignon but as we are only meant to stay a month and we had lots of places to see, we decided to "hit the road" and continue our journey down the Rhone and onto the Petit Rhone. While we had been sitting in Avignon there had been thunderstorms and torrential rain on many days. This meant that the river was flowing a lot faster than when we arrived. As we came out of the side arm onto the main river we were swept along at a cracking pace. 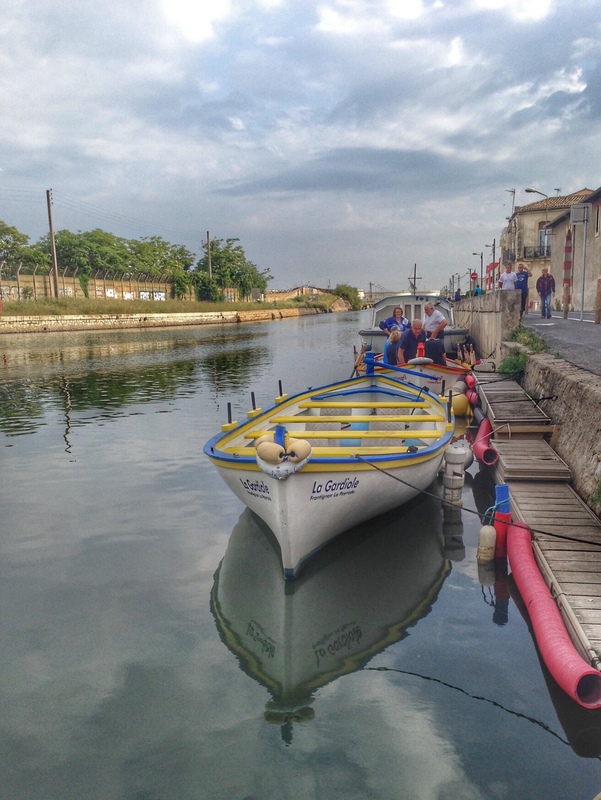 Heading towards the lock at Beaucaire, with the engine in neutral, we were reaching speeds of 16kph. Fortunately as we steered towards the lock itself the current slowed down and we were able to moor on the Plaisanciers pontoon while the lock was being prepared. 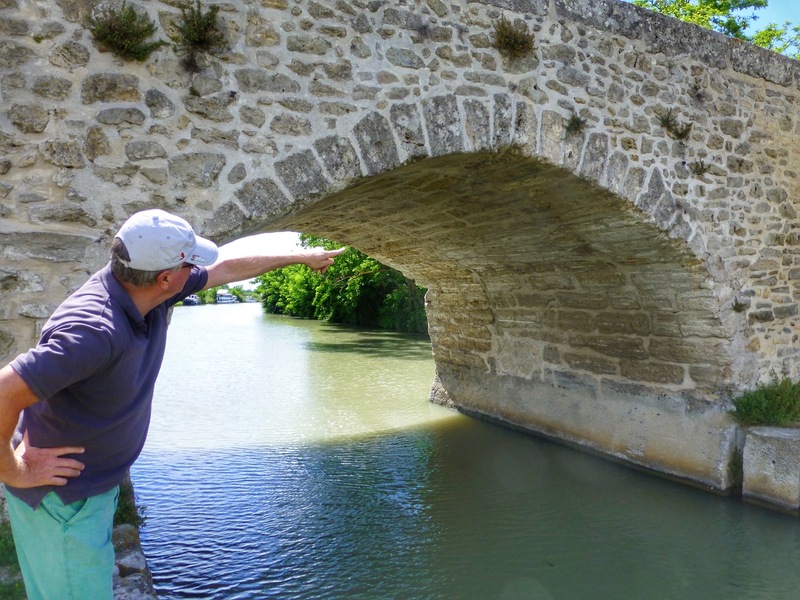 The next hurdle was the railway bridge at Tarascon - not such a problem if you're going downstream but the water does swirl and eddy a lot and can cause a few problems for boats heading upstream. As the river was flowing so fast there were no boats going upstream - many were biding their time in Aigues Mortes or Bellegarde. Shortly after passing under the railway bridge we turned into the Petit Rhone, a sidearm of the Rhone, and almost came to a standstill. 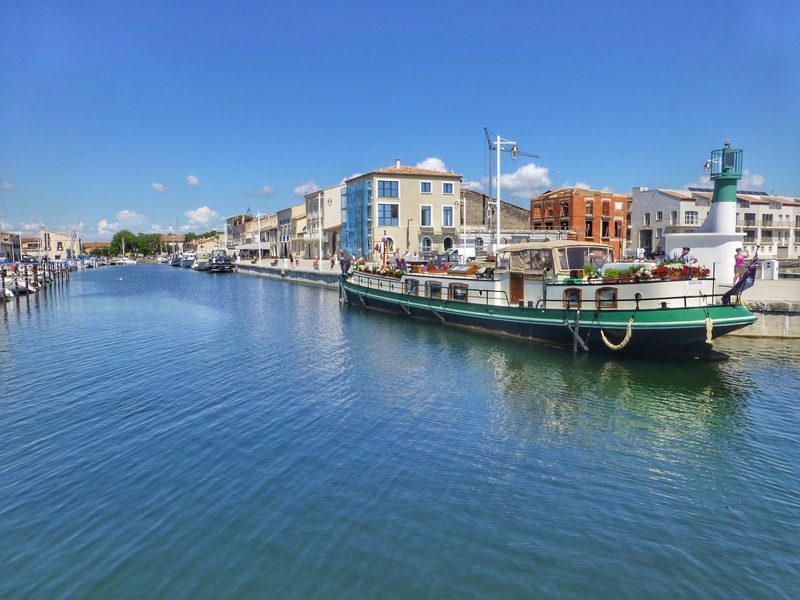 Not long after, we entered the Canal Rhone a Sete and headed for our next destination of Aigues Mortes. 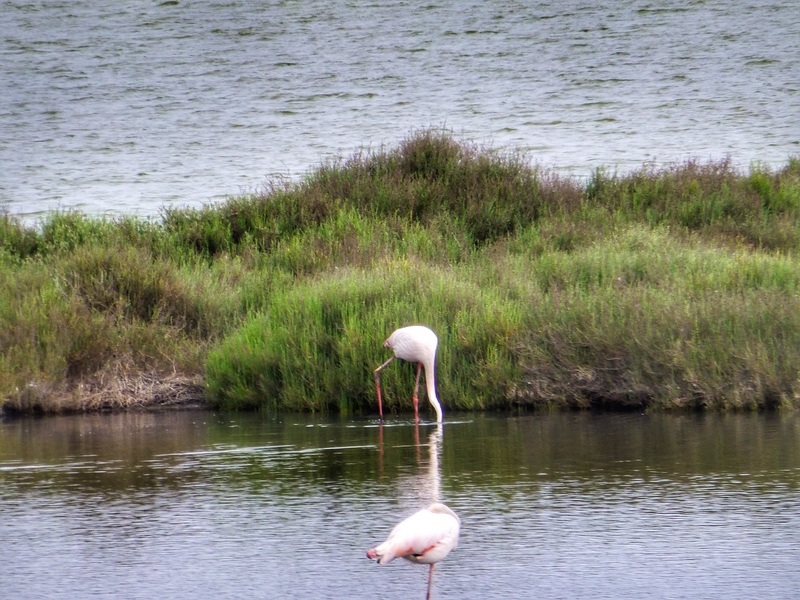 This section parallels the Mediterranean coast and myriad salt lakes and is home to many flamingoes (and mosquitoes). 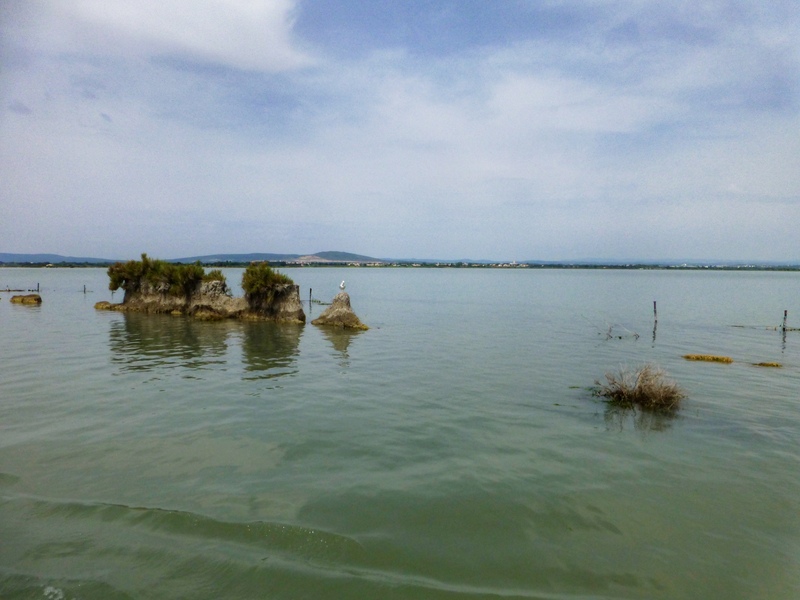 Over the years, the banks of the canal have been eroded by boats moving faster than the recommended 8 kph, so it has become more difficult to discern where the canal ends and the salt lakes start. Where does the canal end and the salt lake start? 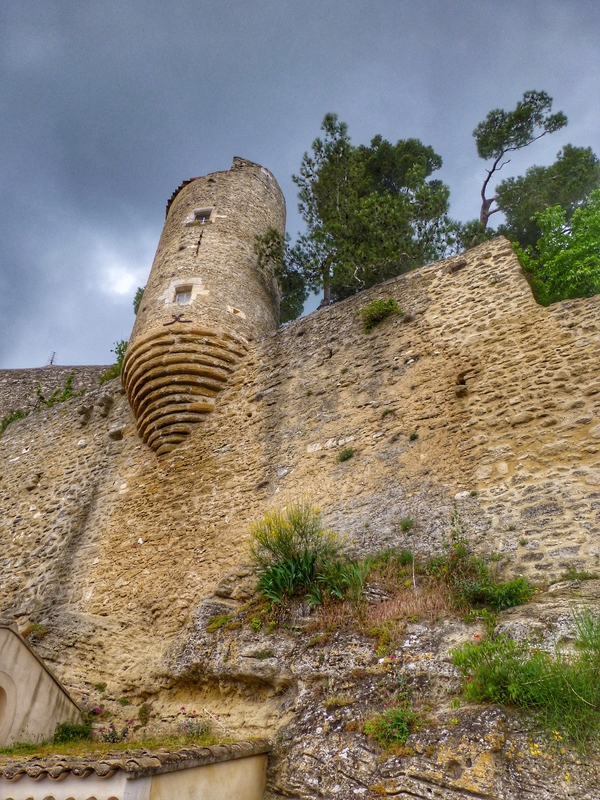 Aigues Mortes was our next destination, an evocative templar knight's walled town. We managed to secure a berth here in the commercial port for 5 nights, having to leave due to the arrival of a hotel barge. 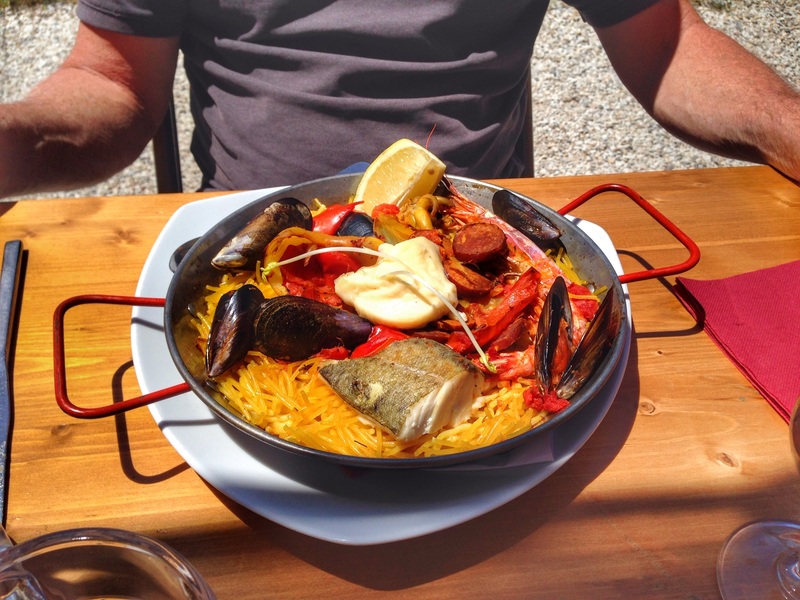 We had been here a few times before by car but it is still a great place to stay and sample the fresh seafood and walk along the canal towards the Mediterranean. 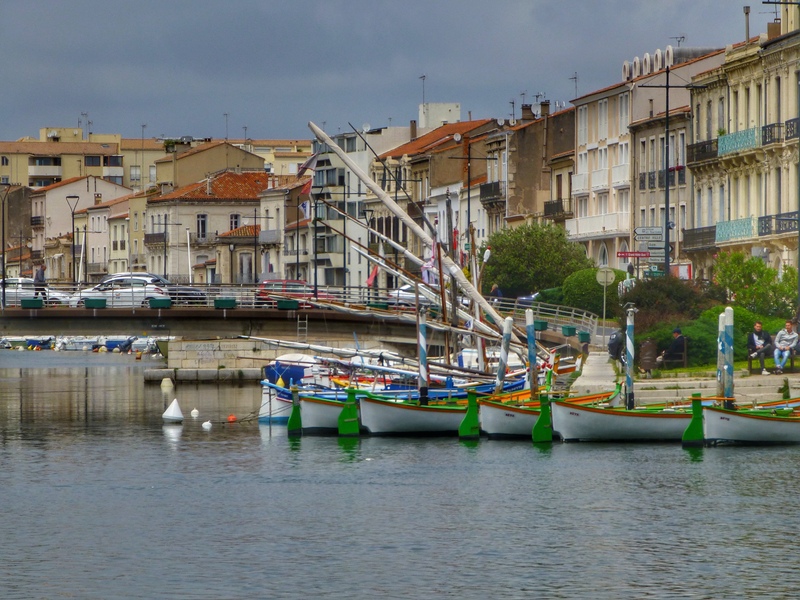 After leaving Aigues Mortes we headed west again towards Frontignan and, ultimately, Sete, at the entrance to the Etang du Thau. 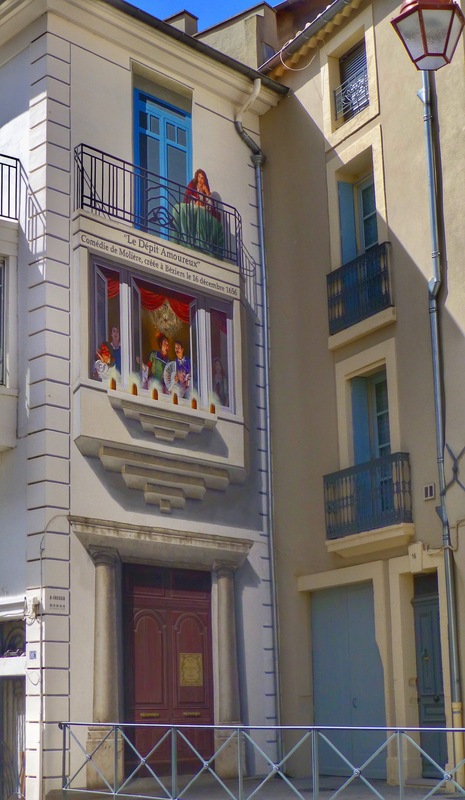 We stayed at Frontignan for 4 nights firstly on one side of the lifting bridge for 1 night then on the west side for 3 nights. Due to the age and fragility of the bridge it is only lifted twice a day to allow passage for all boats in either direction. It is a bit like a bun fight with boats jostling for position to get under the bridge and secure a mooring on the other side. 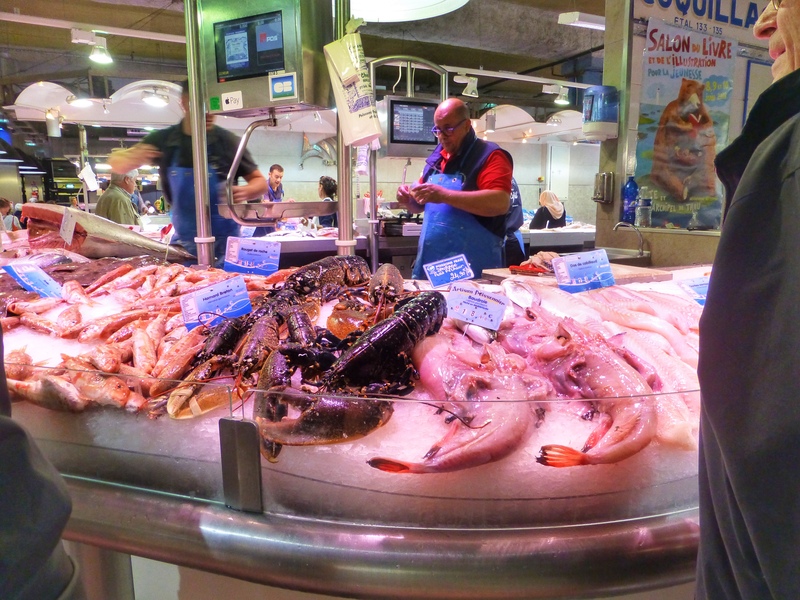 While in Frontignan we caught the bus (there was a train strike so it was easier to catch the bus) to Sete to take in the sights and taste the delicious tielles that the town is famous for. These pastries are a tomato and squid concoction that will have you coming back for more. 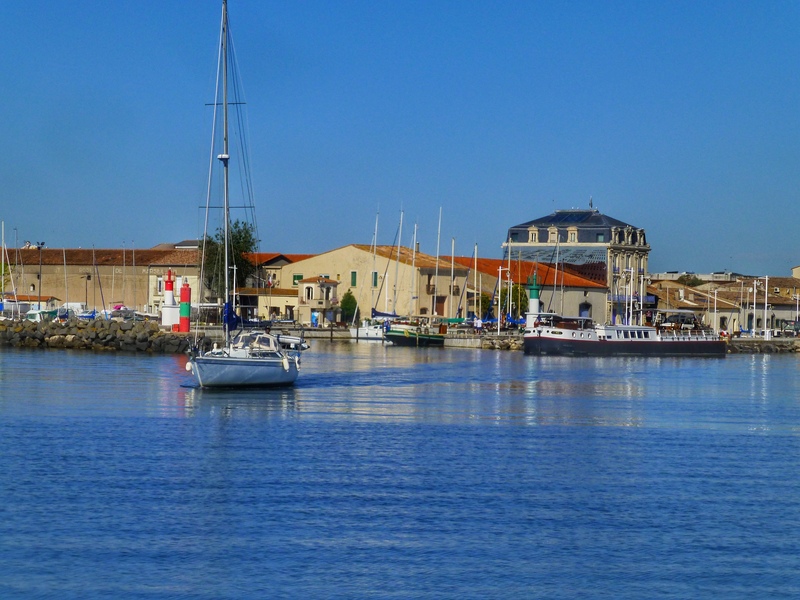 Our final cruise before we headed to the Canal du Midi was across the Etang du Thau to Marseillan. It's important to make sure the weather and winds are favourable as the Etang can become quite rough and if you break down it's a €450 tow back to a harbour. 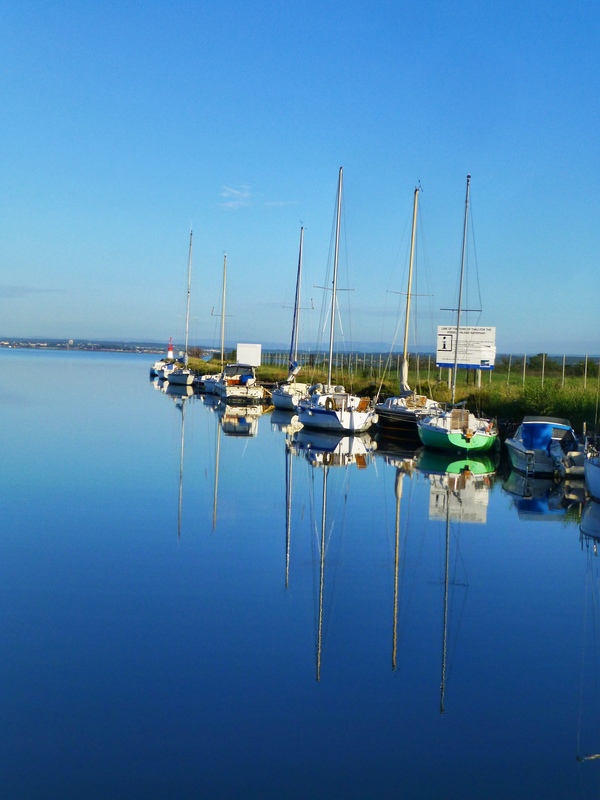 We departed Frontignan on a still Friday morning before 7am and had a pleasant and uneventful cruise across the Etang to Marseillan. We had planned on staying here for several days but unfortunately places are limited for barges our size and a hotel barge was due in. 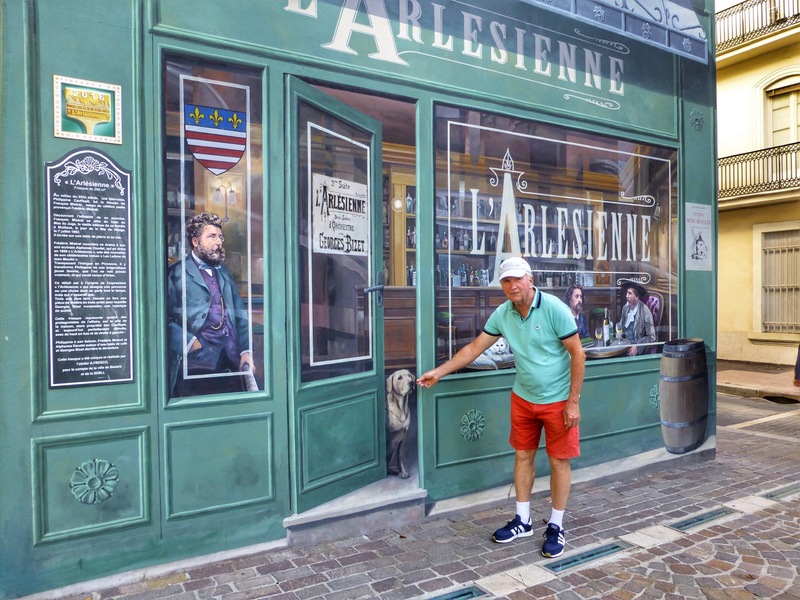 We did have some friends staying in Marseillan harbour so we decided to cruise across to Marseillan and say hello to them from outside. When the harbour master saw us hovering on the outside he invited us in provided we departed by lunchtime. 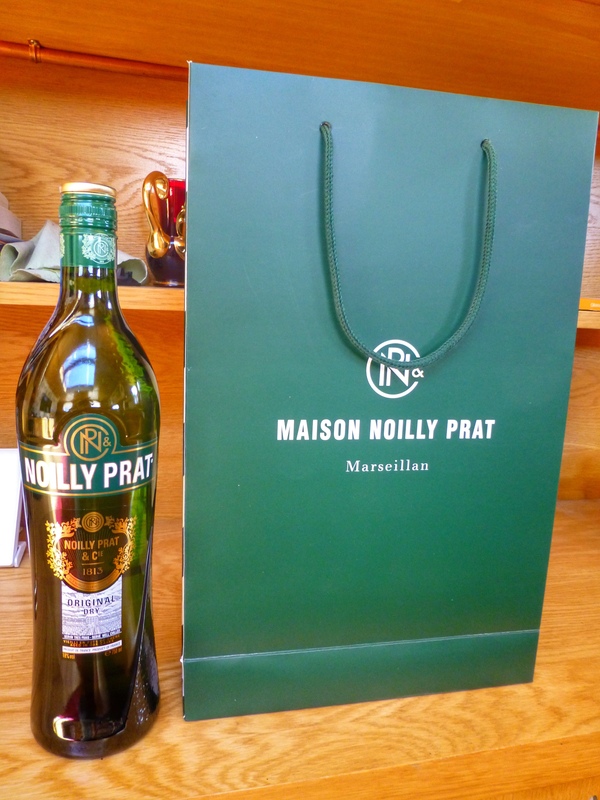 This gave us the opportunity to catch up with David and Evie on l'Escapade for coffee in town and then a very quick visit to the Noilly Prat factory to purchase a bottle of their famous vermouth. While I was doing this Kevin had received permission from the harbour master to fly his drone over the port. He managed to take a great movie showing the size of the lake highlighting the beautiful surrounds. 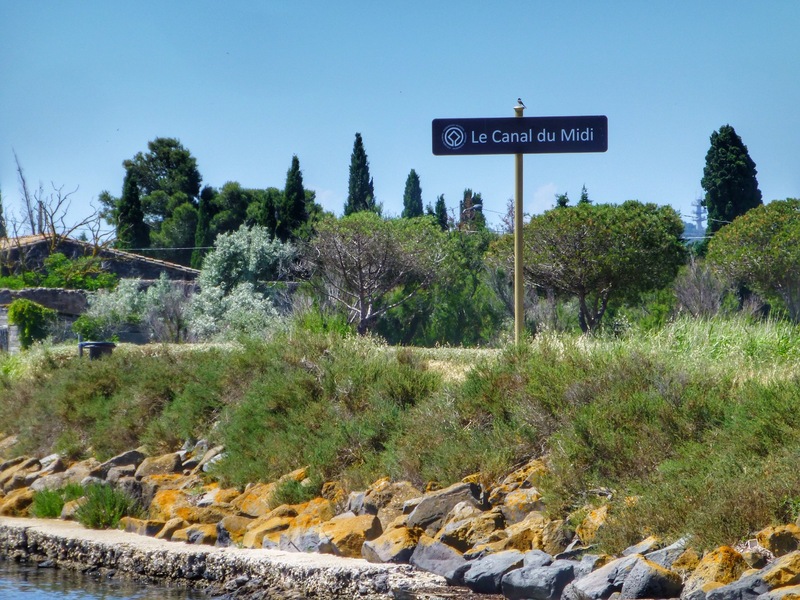 It was then time to head off to the UNESCO world heritage listed Canal du Midi. 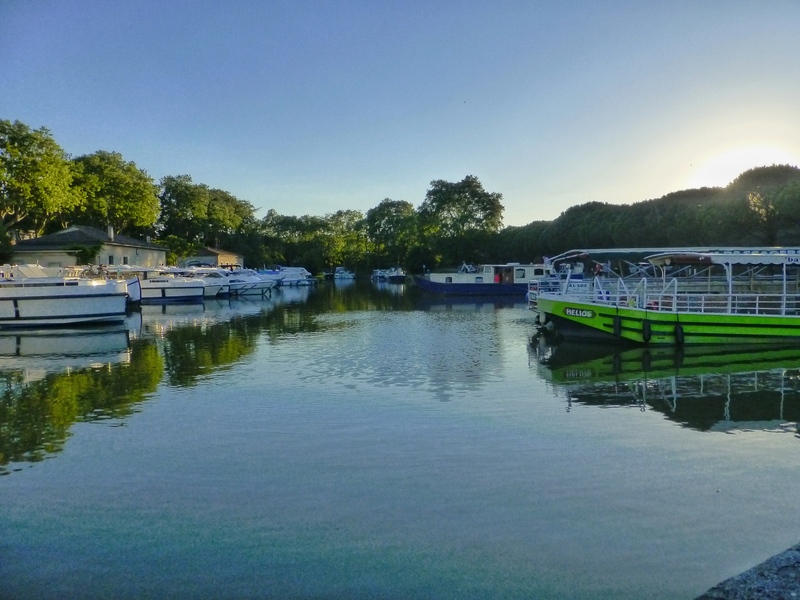 West of Bordeaux and bordered by the ocean and the Garonne river estuary is the area known as the Medoc. This area grows grapes that supposedly make some of the best wine in the Bordeaux wine region, if not the world. And it attracts some pretty impressive prices as well. The best time to visit this region is mid to late summer but we were here in March so the area looked a bit windswept and bare. 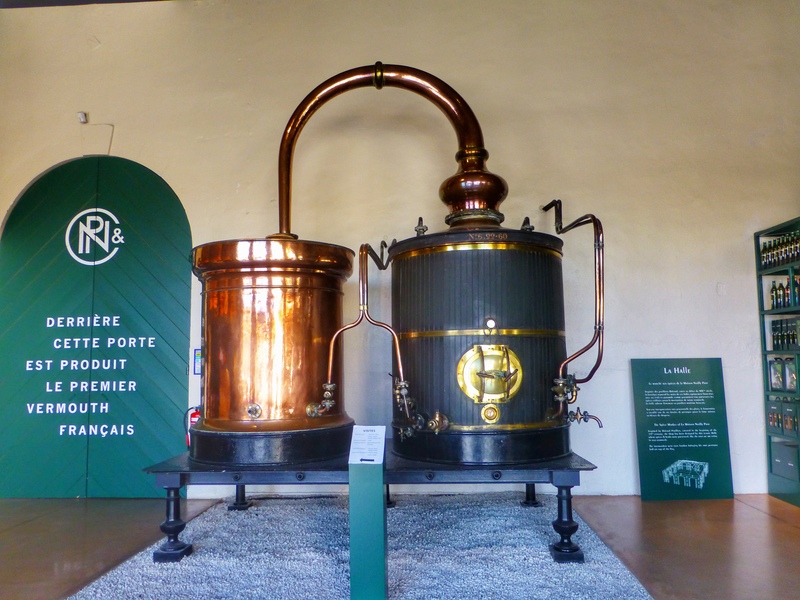 Certainly the prices that some of the wines sell for attest to that, as does the names of some of the labels – Lafitte Rothschild, Mouton Rothschild and Chateau Margaux just to name a few. 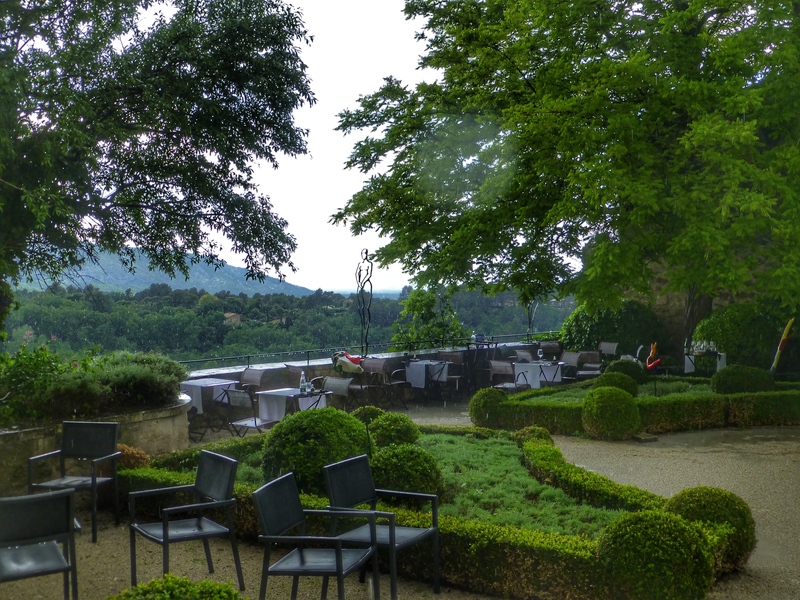 The chateaux here are also impressive compared to other wine growing regions but not on a par with the chateaux of the Loire region. 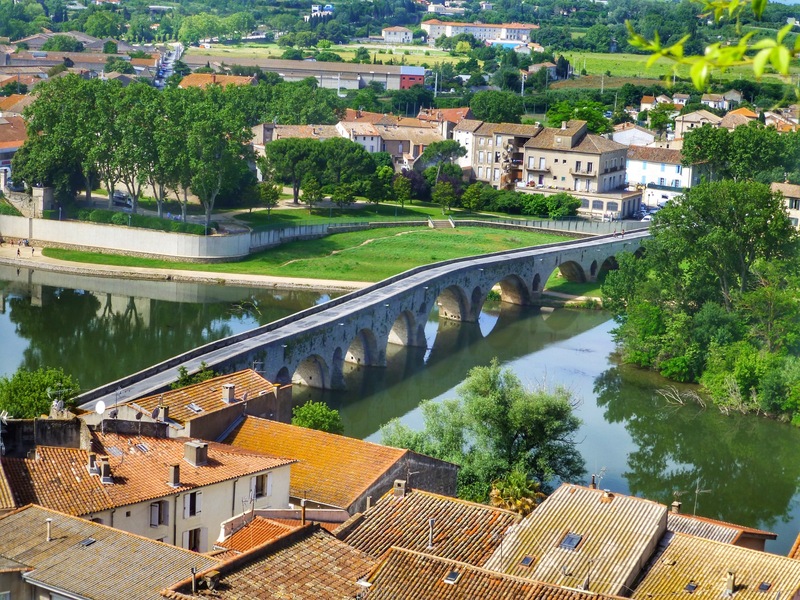 The riverside town of Paulliac is the centre of this region and, during summer, attracts many visitors to its riverside brasseries and wine caves (cellars). There is also a port on this tidal estuary. With the incentive of cheaper mooring rates by the month we decided that, as we weren't in a hurry, we would get our car and base ourselves here for a month. 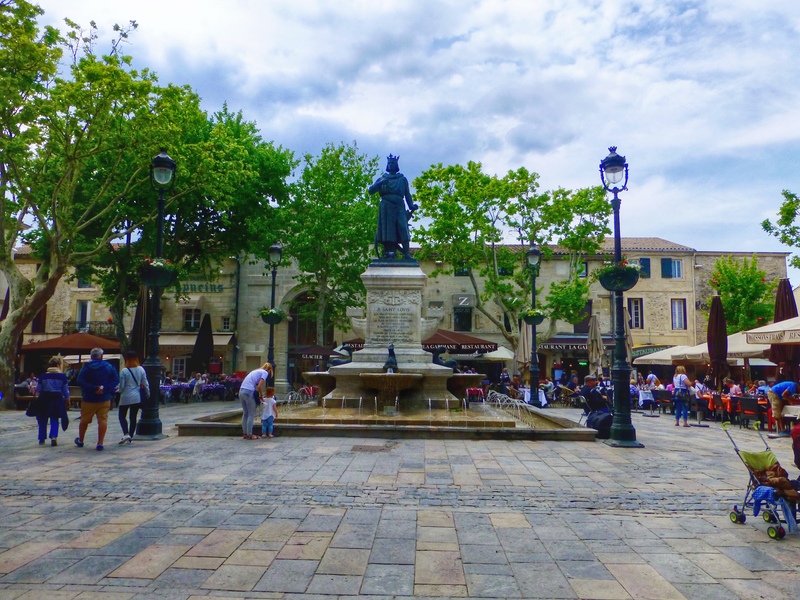 Avignon itself has much to offer and, being in the heart of Provence, there are so many little villages surrounding it that are worth seeing. With tips and advice from the capitainerie and the tourist bureau we made a list of places to visit. Ryan and Kim were also flying in to stay with us for a long weekend so we wanted to choose some interesting places to take them. 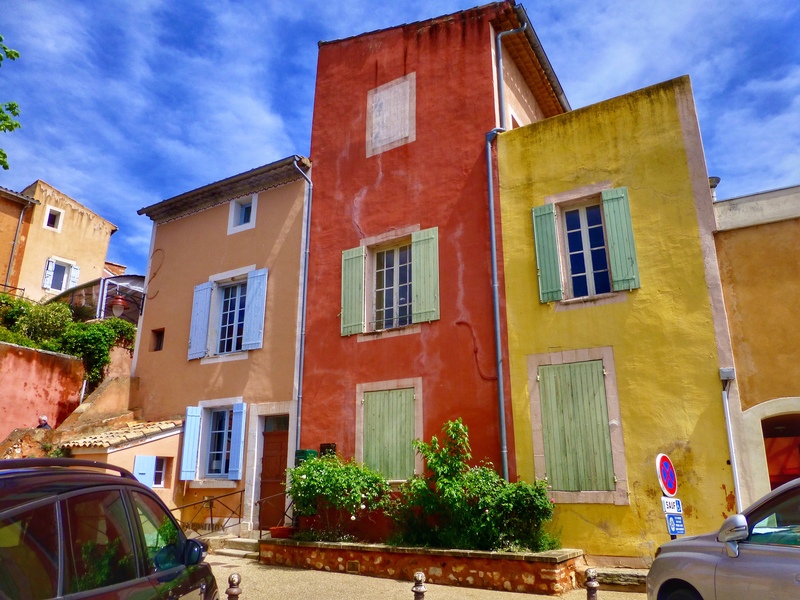 Our first little village was Roussillon. 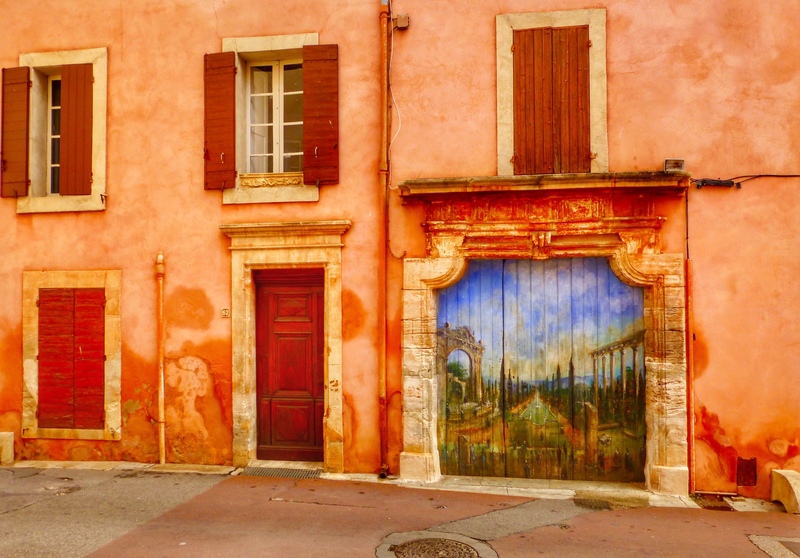 This village is named for its red ochre houses and it has the largest deposits of ochre in Europe. 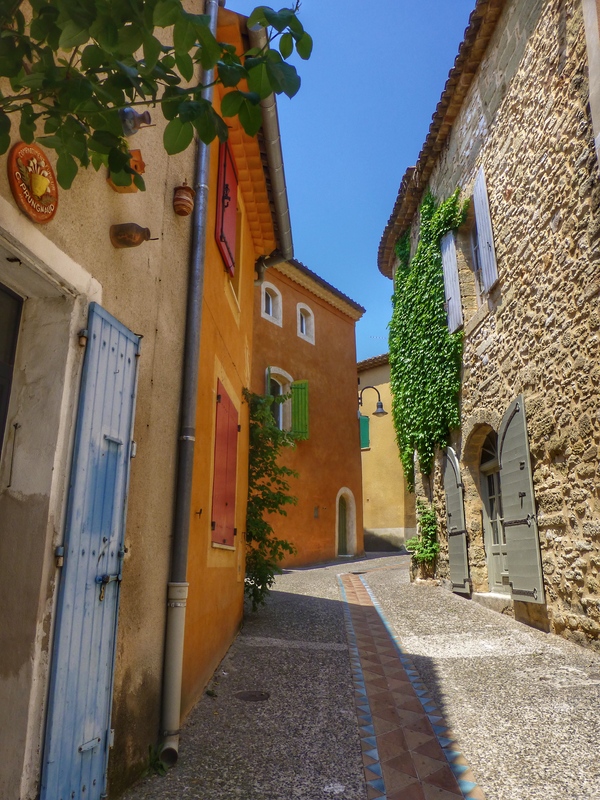 It is a very picturesque place much loved by many artists but not quite as touristy as it's neighbour of Gordes. 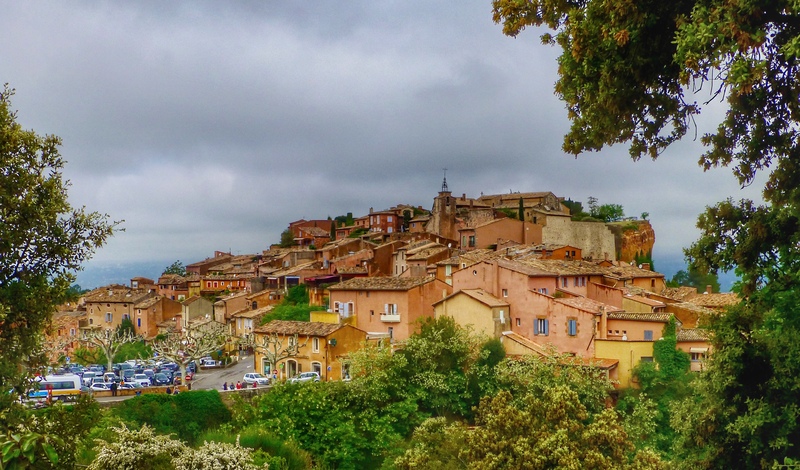 We thought Roussillon was much nicer than Gordes, which is probably best viewed from the road leading into it. 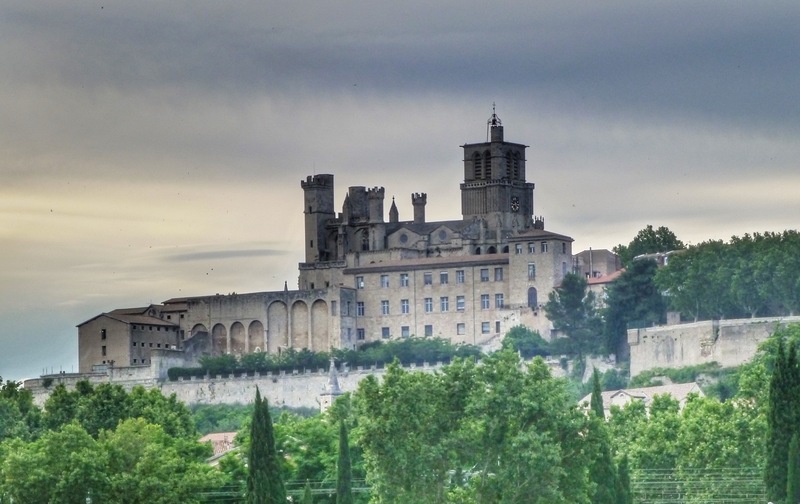 Gordes was pretty much a dying town until the mids 1960s when someone decided to rejuvenate it and make it a tourist destination. 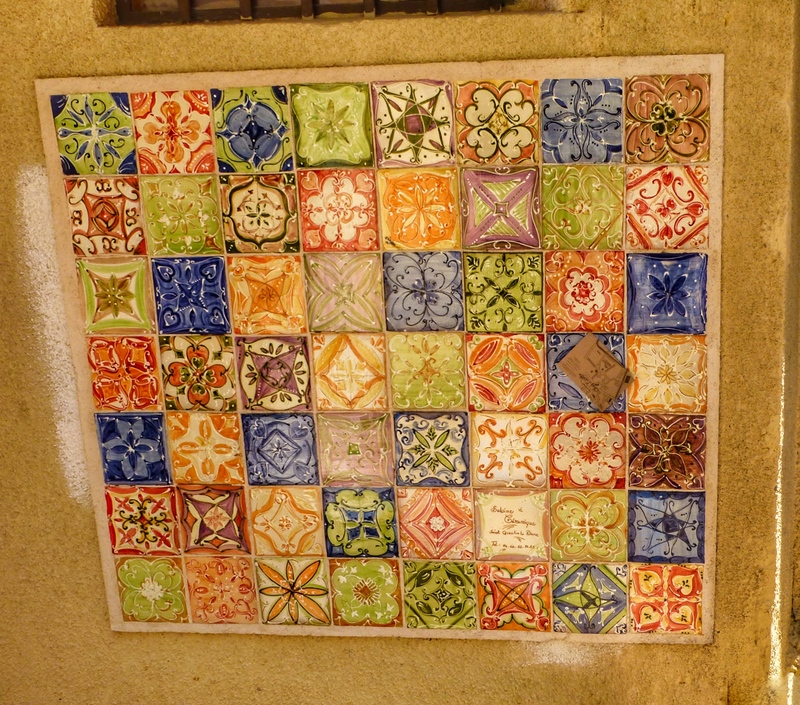 It seems to have worked well with a number of first class boutique hotels and restaurants. 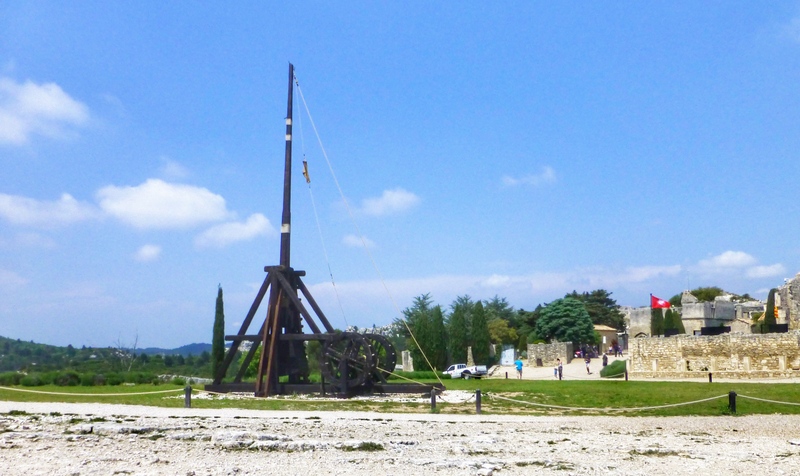 Les Baux de Provence was another town on our list, also very touristy, with its popular hill top medieval chateau and a collection of medieval war machines such as trebuchets and battering rams. During the height of the summer, medieval festivals, jousting and demonstrations of medieval crafts take place. 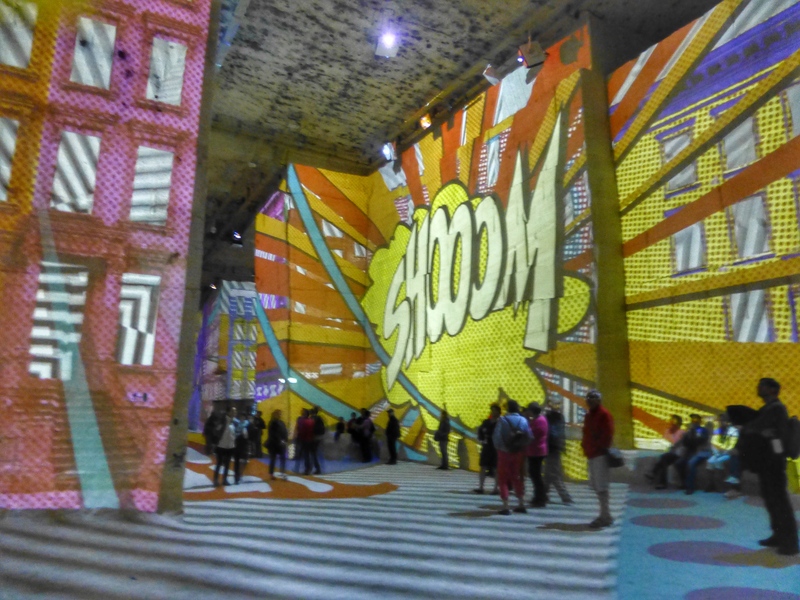 What we really came to see was the Carrieres Des Lumieres. 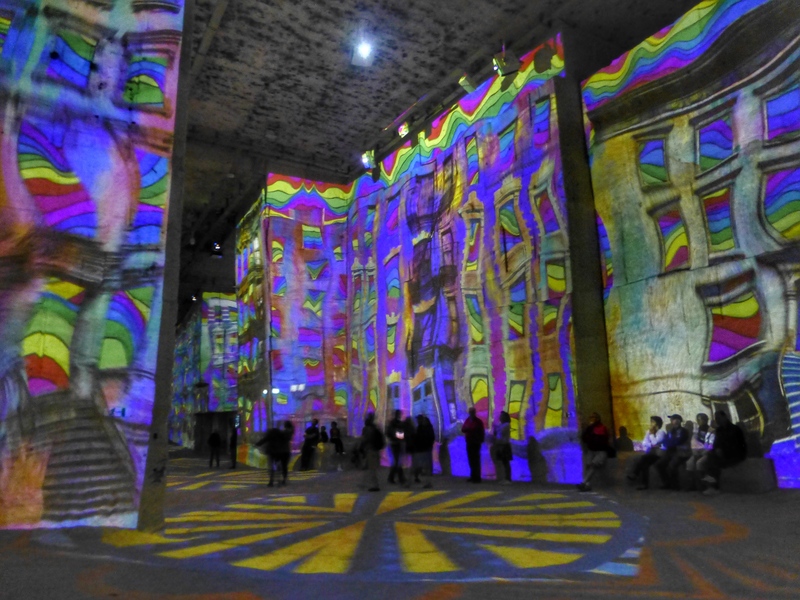 The old quarries beneath Les Baux have been converted to a sound and light show, showcasing works by various artists. 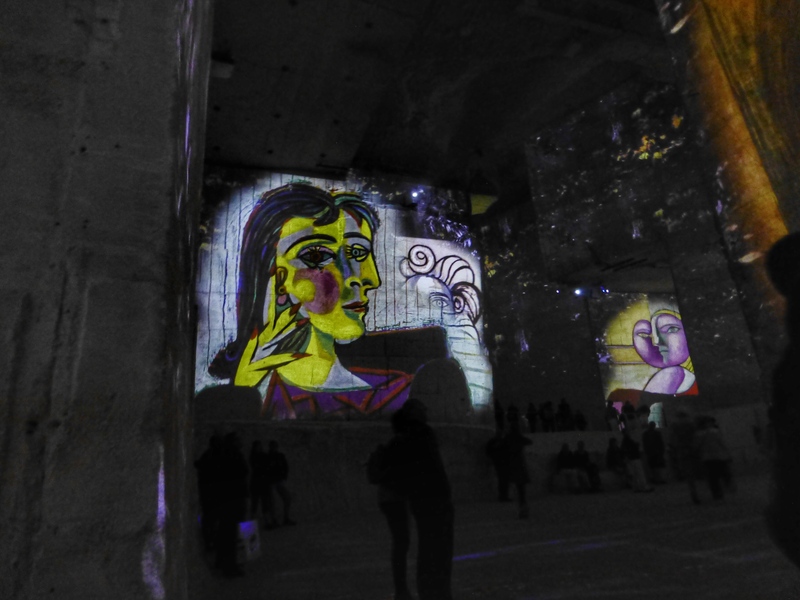 This year Pablo Picasso was the featured artist. 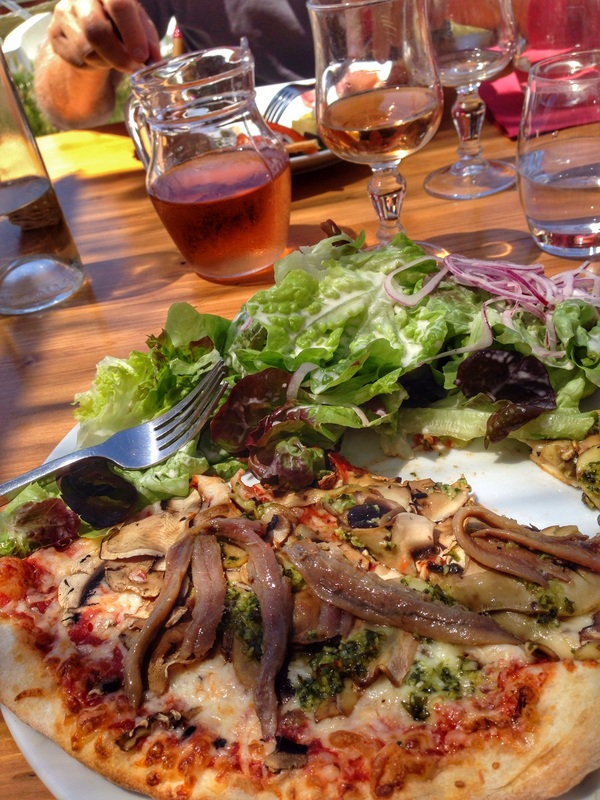 I would highly recommend this even if you don't walk up to the top of Les Baux to the chateau. 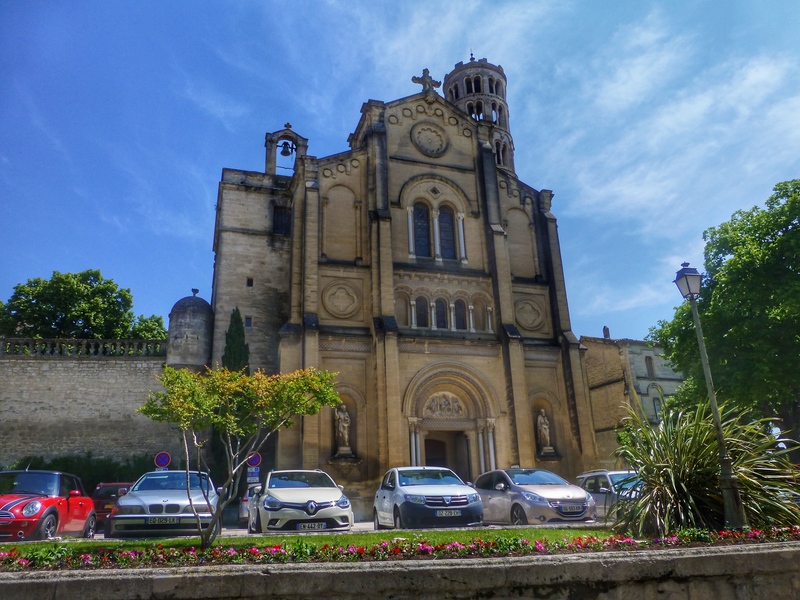 Another highly recommended village is Uzes. 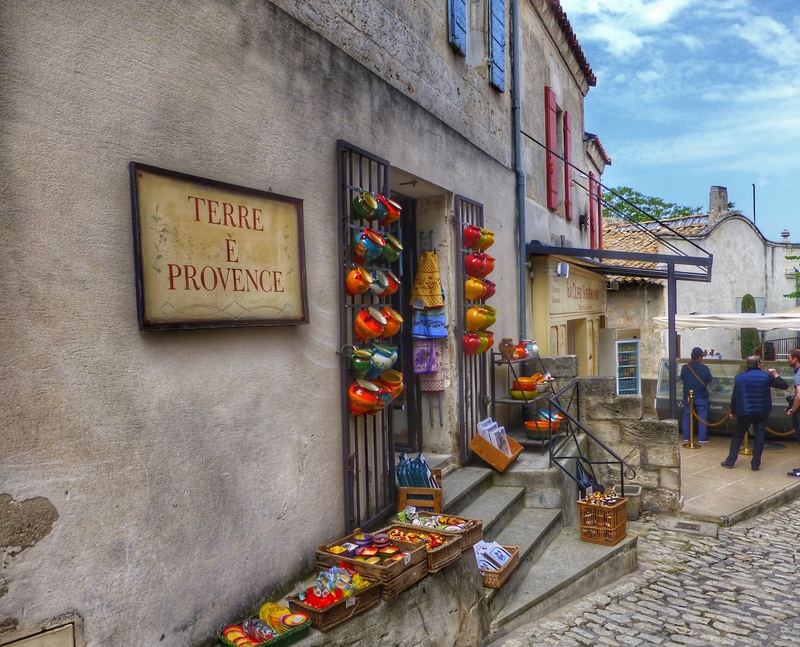 Many people see this village in combination with the Pont du Gard but as we had visited this Roman site on a couple of other occasions, we decided to just head into Uzes. What a charming town. 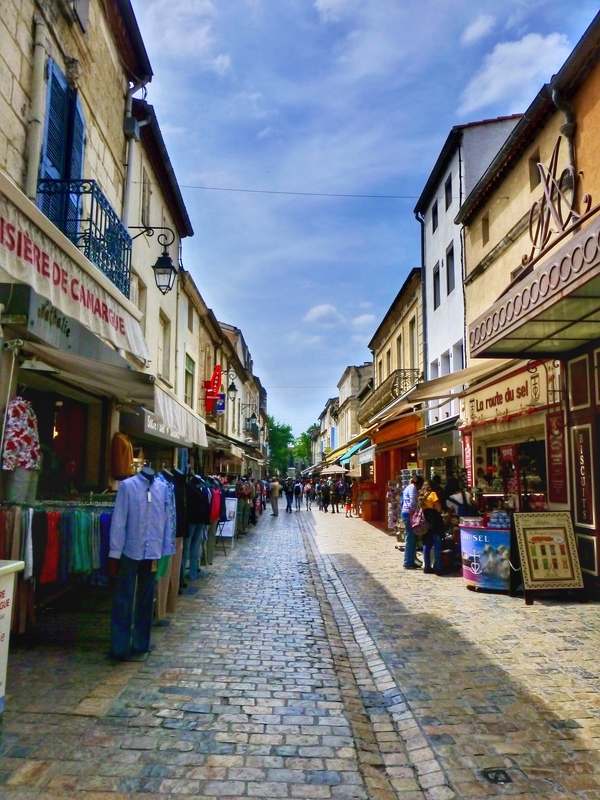 It is bigger than some of the other villages and has the more refined feel of a prosperous market town, with lovely shady treelined streets, interesting shops, lively market square and busy restaurants. We started with coffee and cake in a small but busy one woman run cafe then wandered around the old town and up into the newer part before heading into the market square in search of lunch. 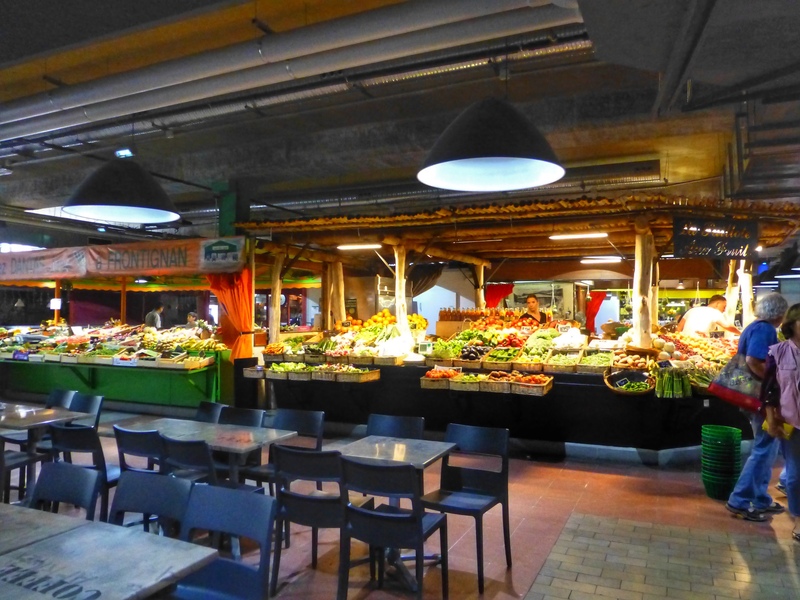 The market was in full flow and the restaurants were busy with good menu du jour options. 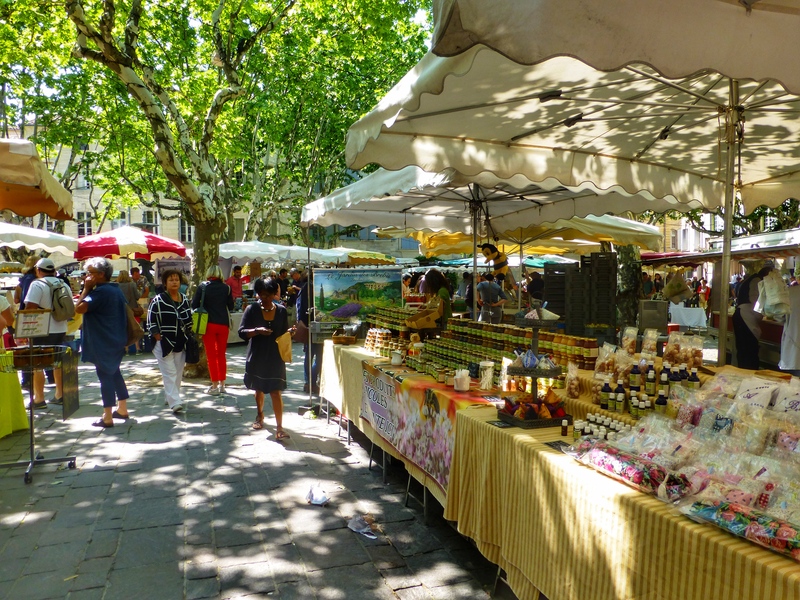 Some people make a trip to Uzes because of their love of confectionary. The Haribo museum and factory is on the outskirts but we managed to control ourselves and drove straight past! 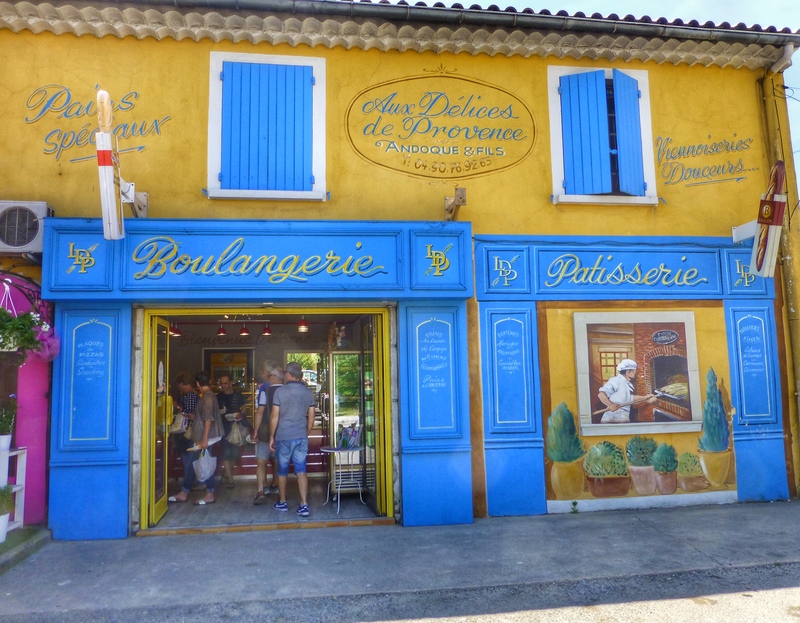 After lunch we drove to the colourful village of St Quentin La Poterie, so named because of the clay soil and hence all the potteries. 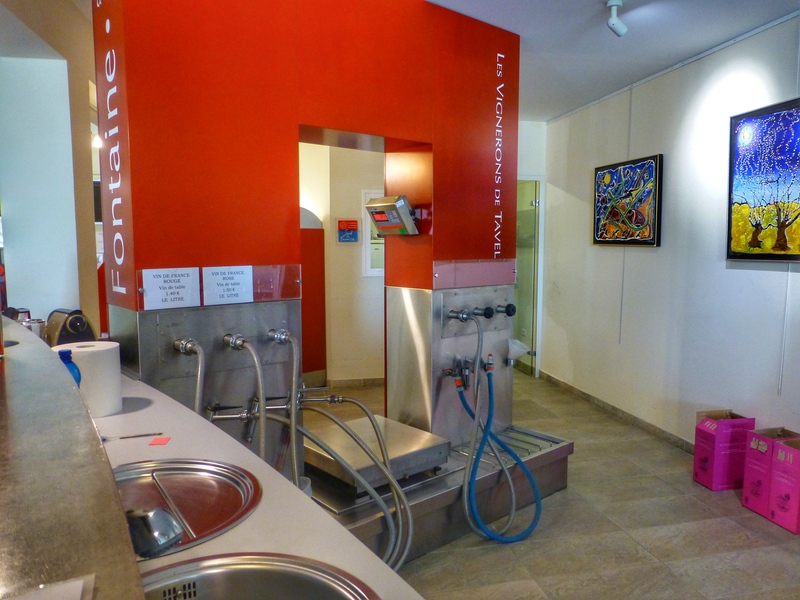 From St Quentin we made our way back down to the Rhone river catchment area and the town of Tavel. 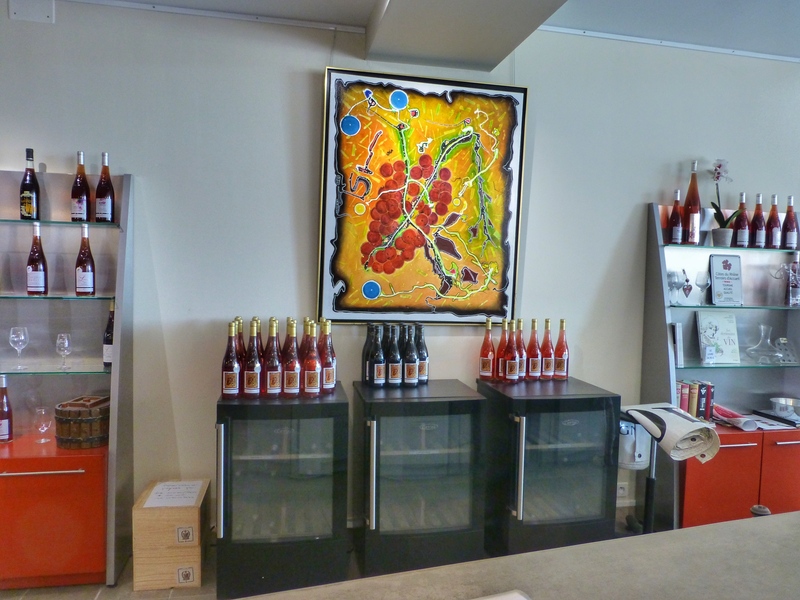 This wine appellation area is renewed for its rose which can combine as many as nine different varieties of grape. 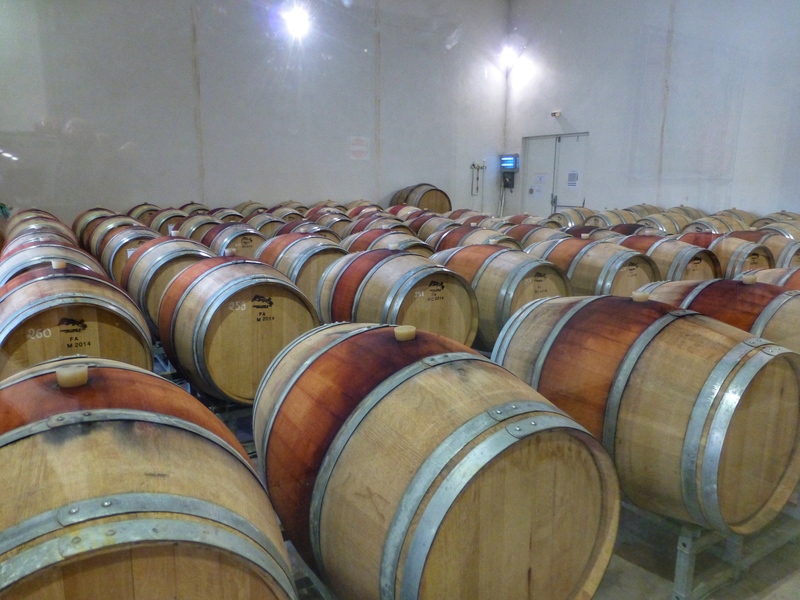 The colour of the wine can range from a very pale pink to a deep russet colour depending on the combination of varieties. 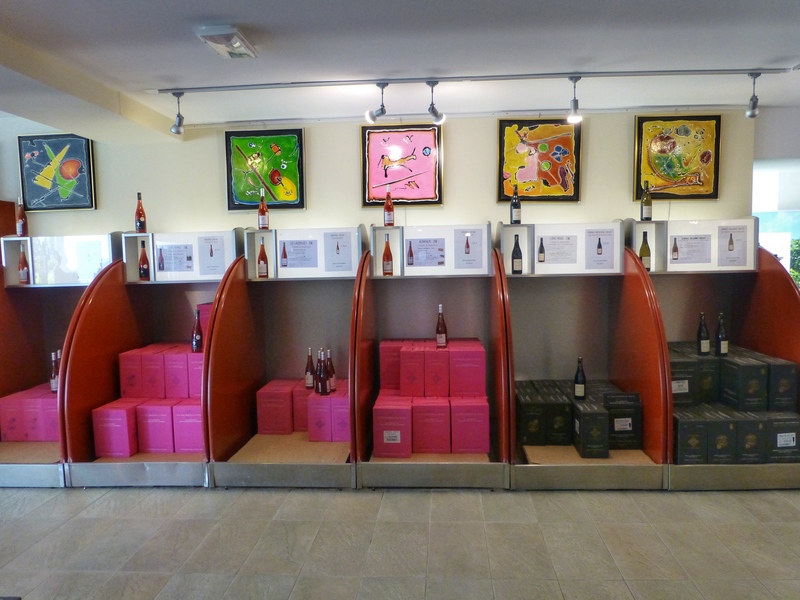 The tastings were generous and the staff very informative about the different appellations. They even had a wine which was grown of the same soil type as chateauneuf du Pape but without the name on the bottle and without the price tag. 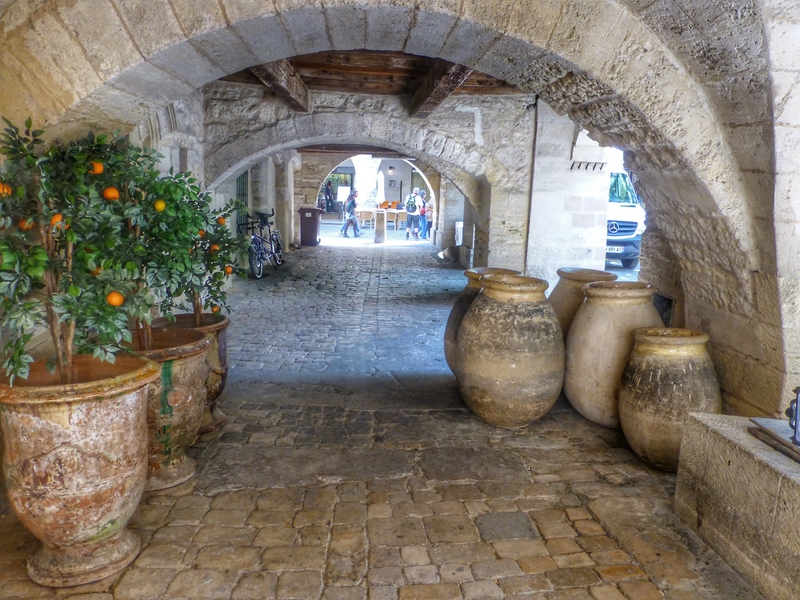 Our last small village to visit on our stay in Avignon was Menerbes. 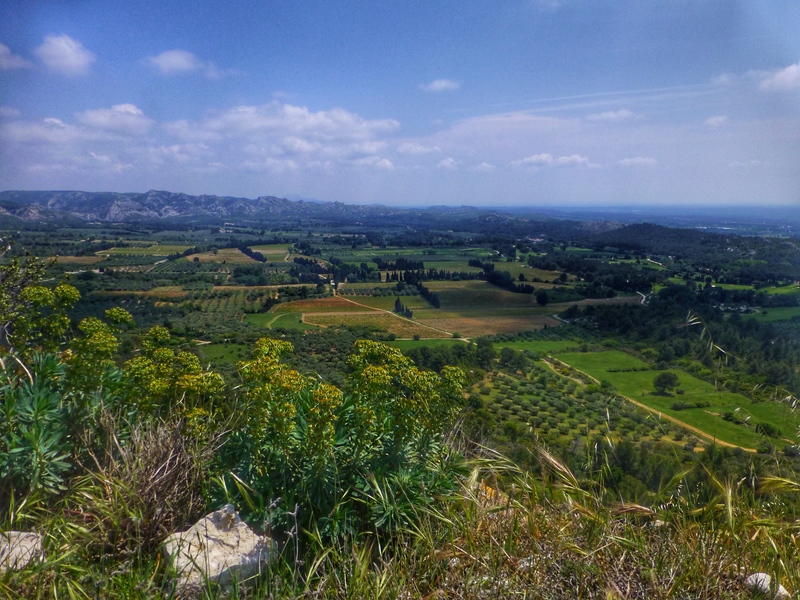 This was a favourite spot with many impressionist artists but became more well known when author Peter Mayle wrote about his experiences in "A Year in Provence". 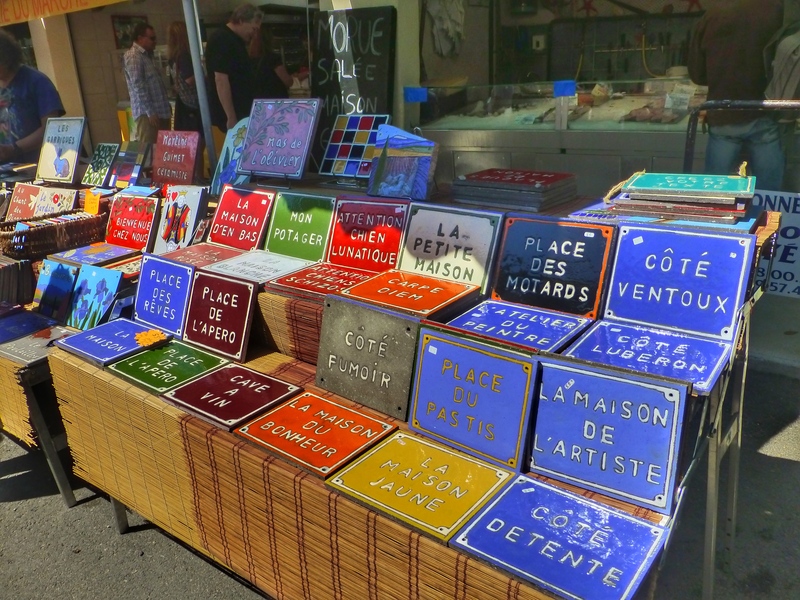 Originally we were supposed to be going to the antique market in Isle our la Sorgue, but it was impossible to get a parking space so we went to plan B. 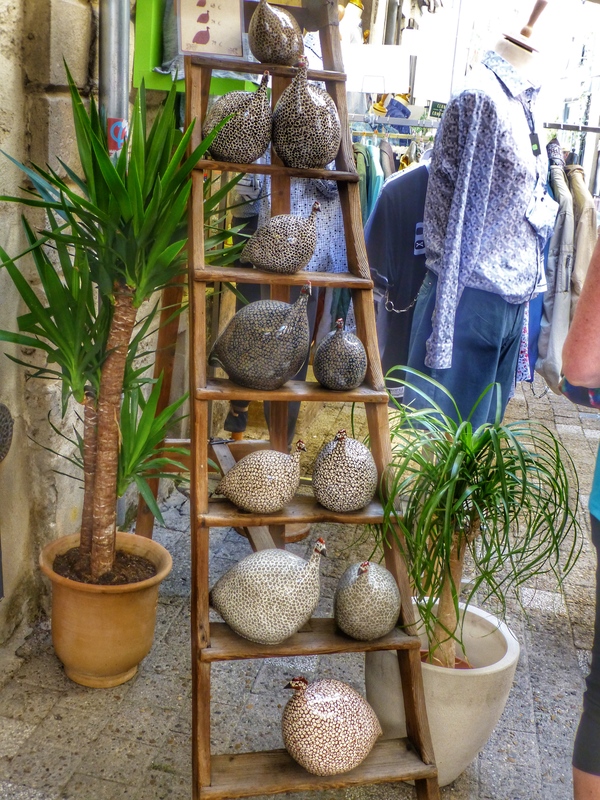 We had a lovely lunch in Menerbes with fellow bargees, Mike and Gloria, and then had a wander around the town, only to be caught in a sudden thunderstorm. After seeking refuge in a small gallery we then continued our walk only to find that the storm hadn't finished drenching us. 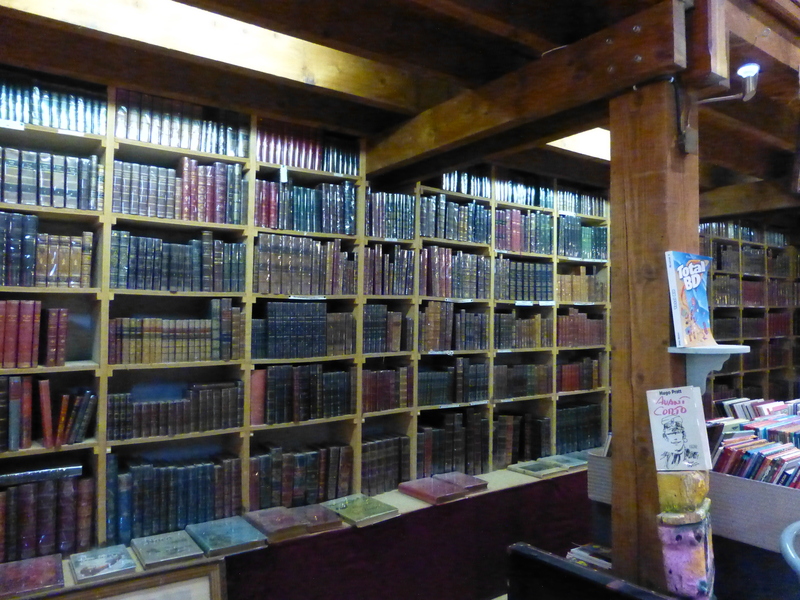 This time we managed to find a truffle shop, restaurant and information centre. 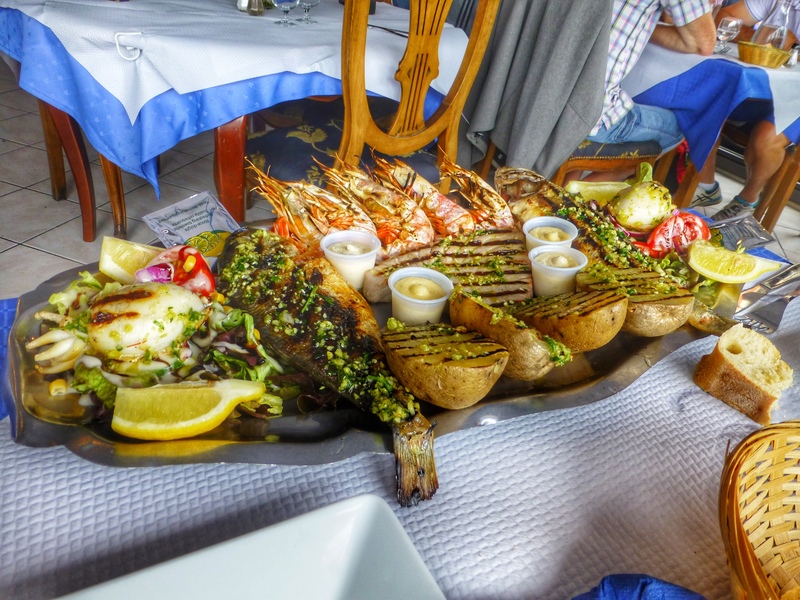 I have a passion for food (cooking as well as eating) and travel. 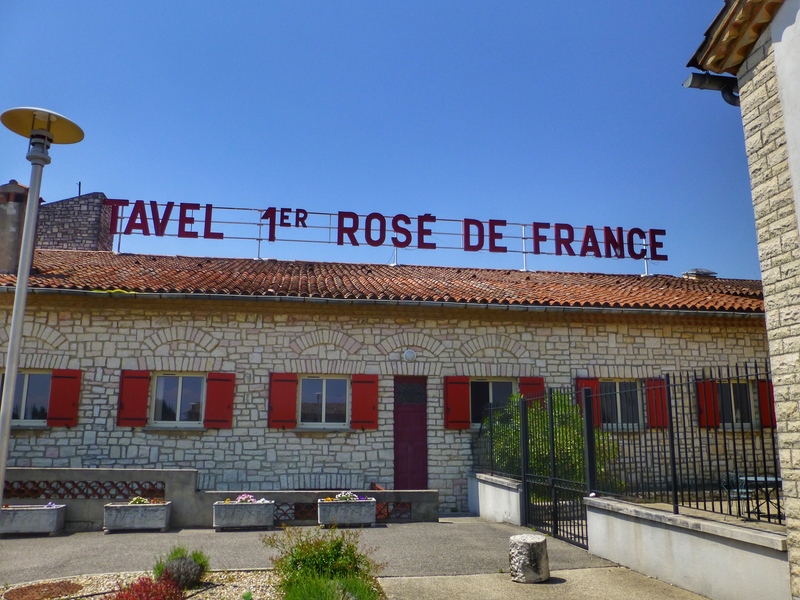 I would eventually love to own a house in rural France, probably the Dordogne region, and use it as a holiday home for our family as well as a gite to rent out. The other possibility is buying a barge and travelling around the canals of France and Europe while we are still relatively fit and healthy.